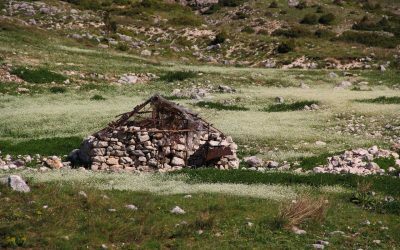 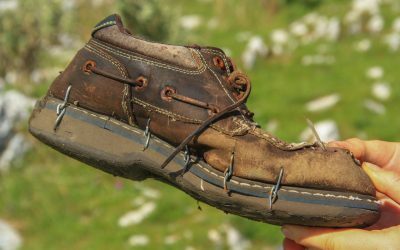 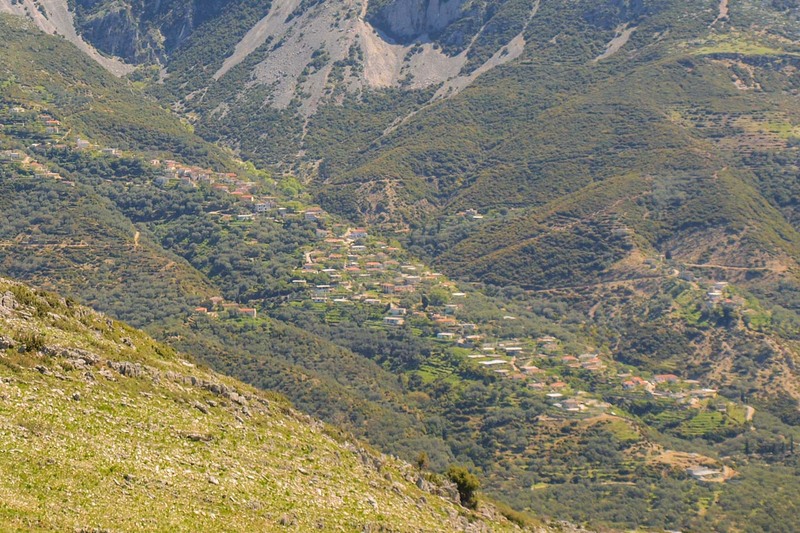 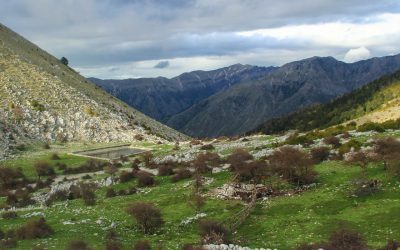 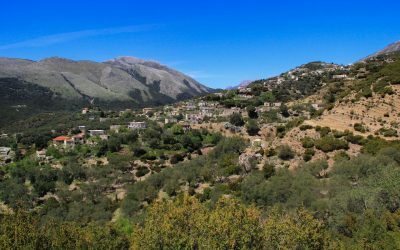 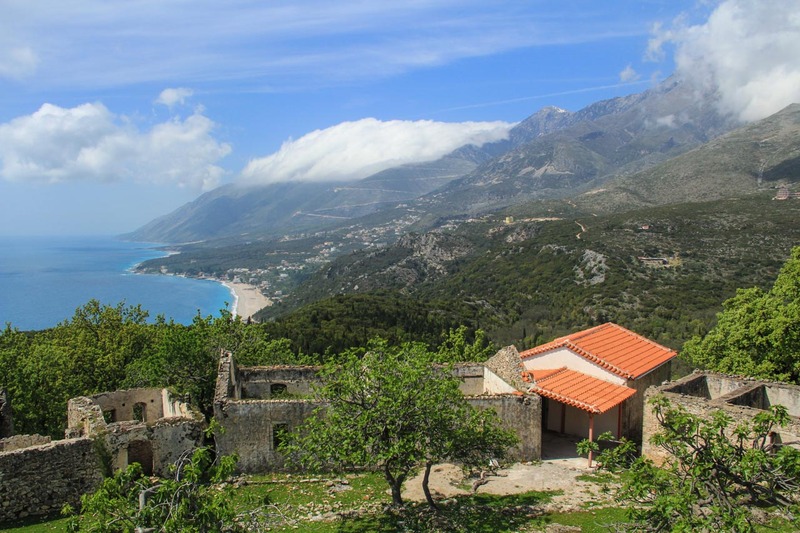 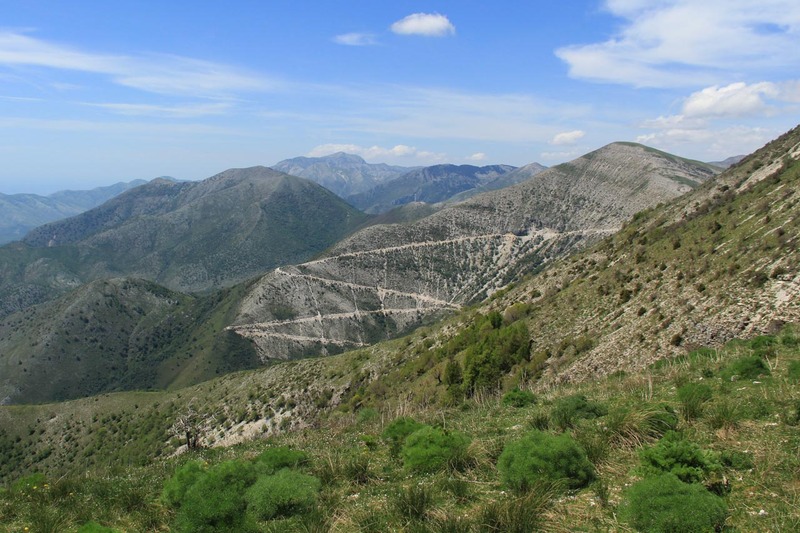 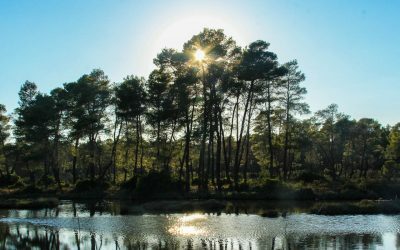 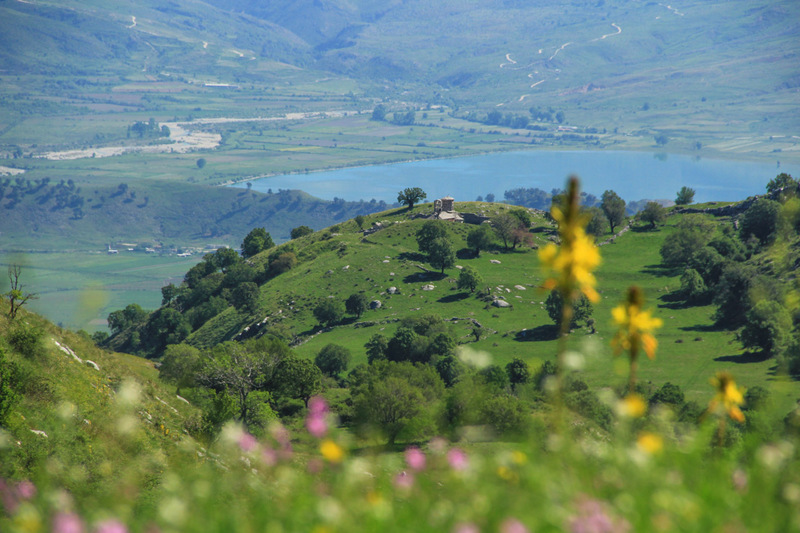 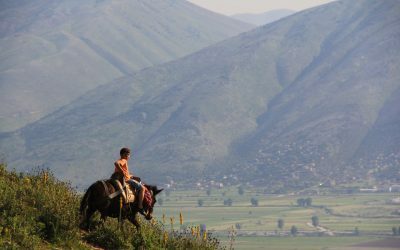 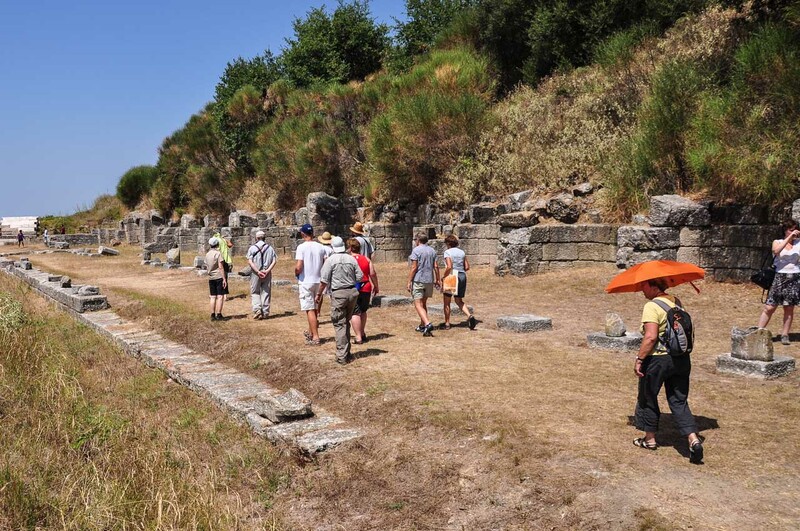 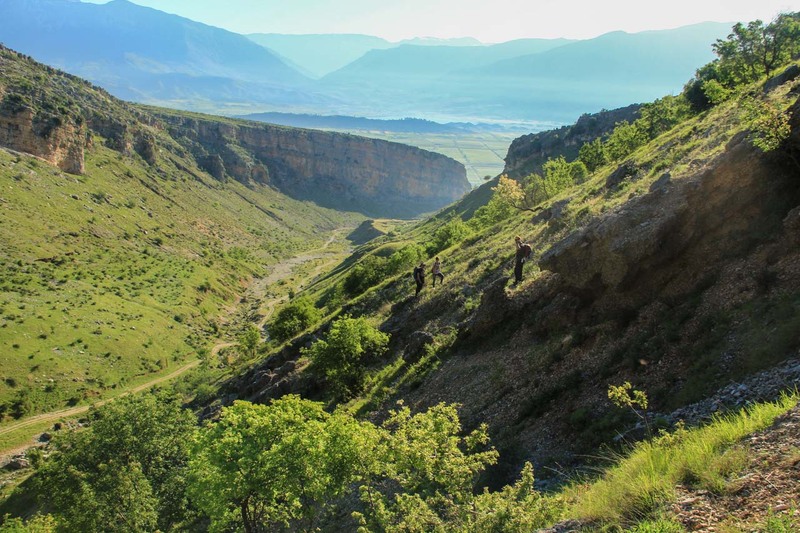 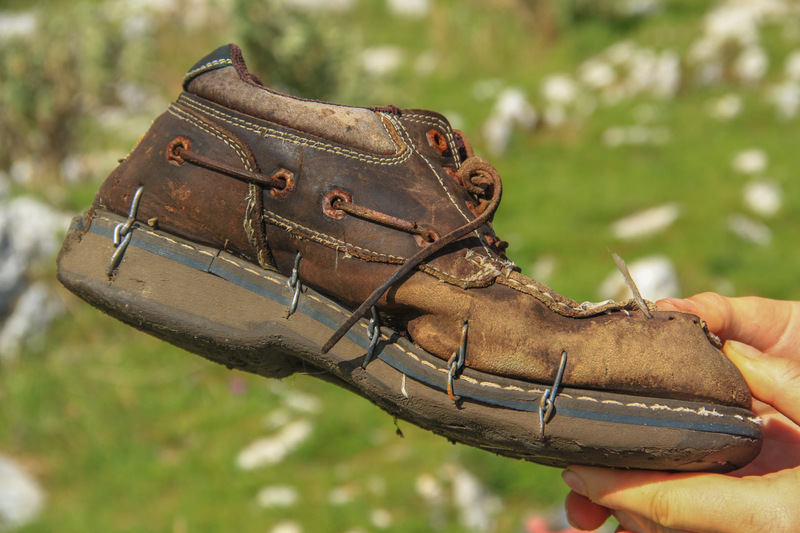 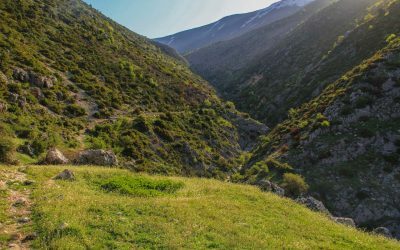 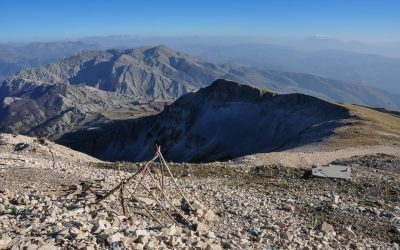 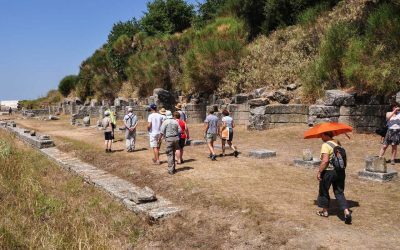 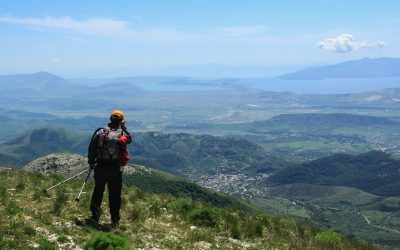 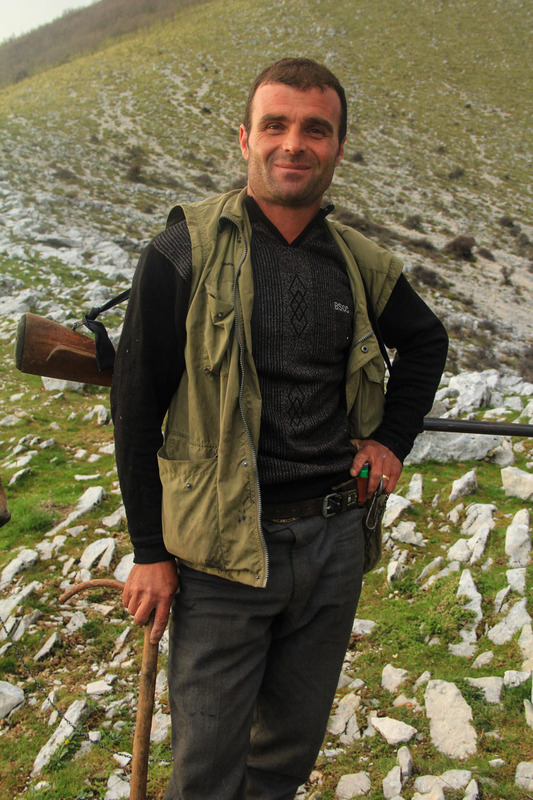 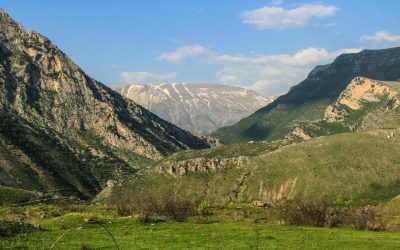 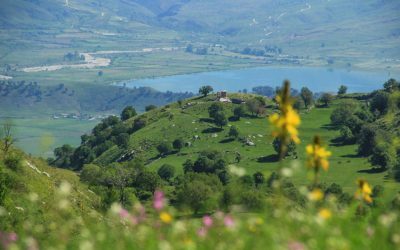 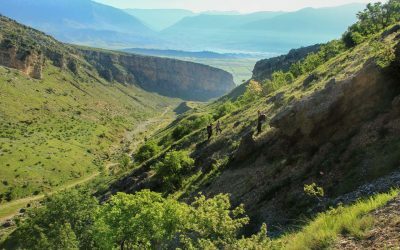 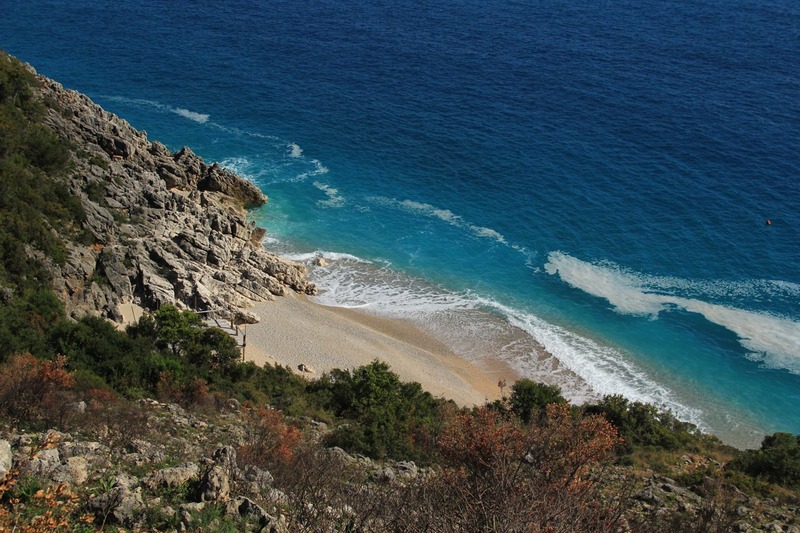 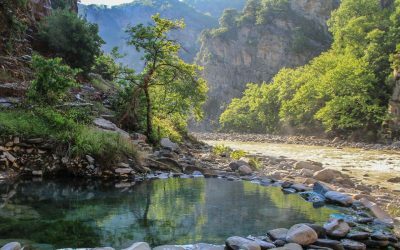 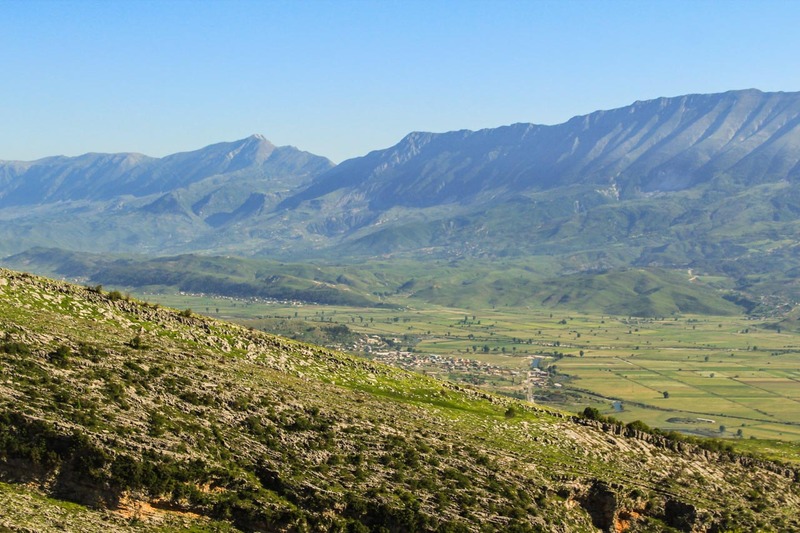 This tour is perfect for outdoor loving people who enjoy a good balance of exploring cultural sights and history, discovering Albania’s natural beauty on moderate hikes and sun and swimming at the beach. 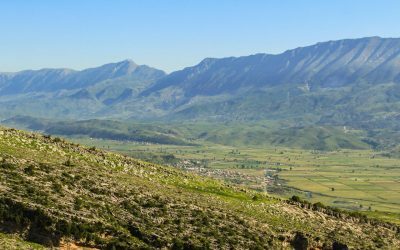 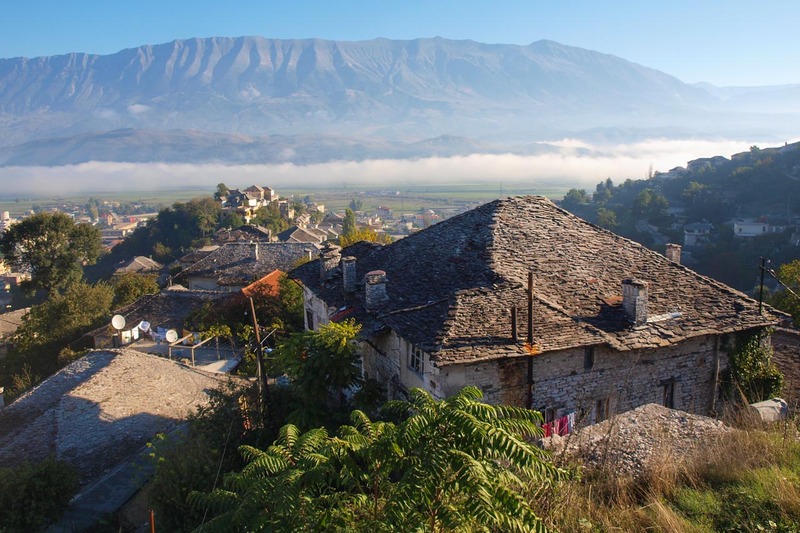 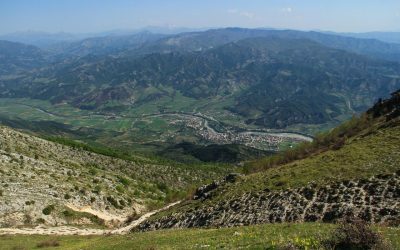 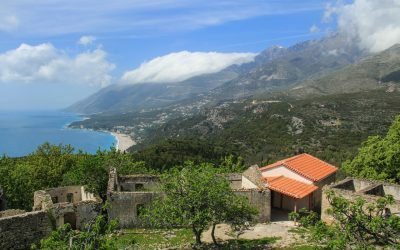 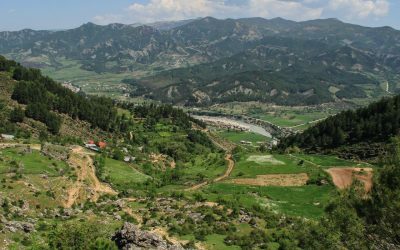 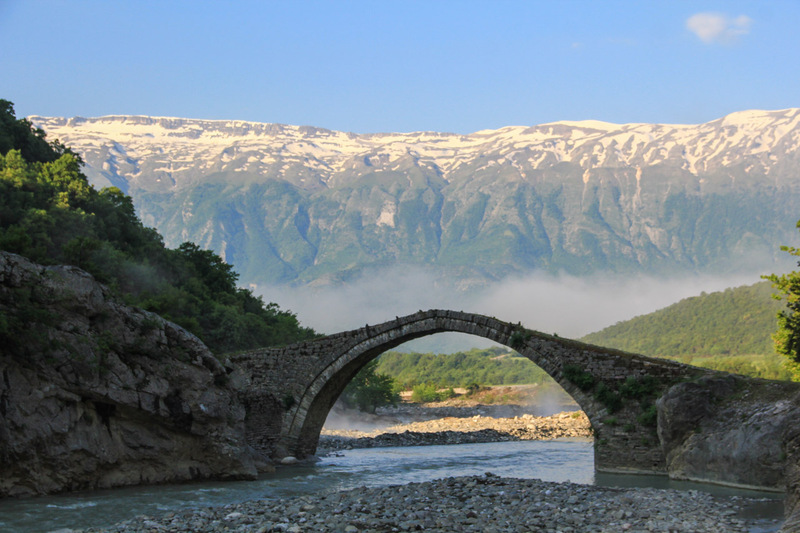 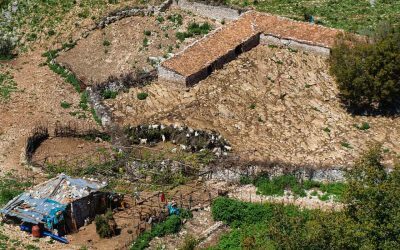 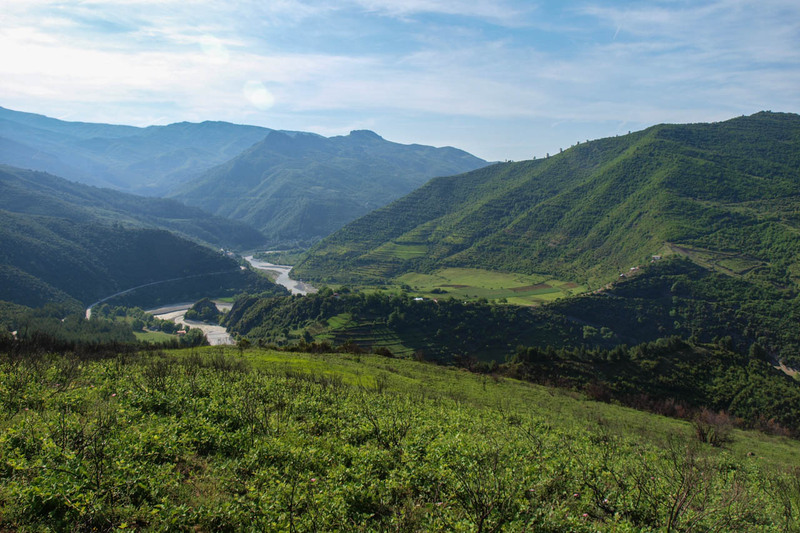 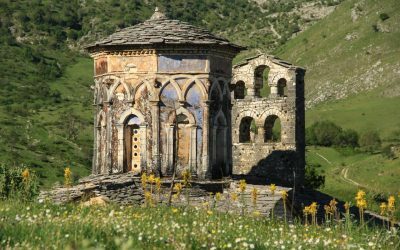 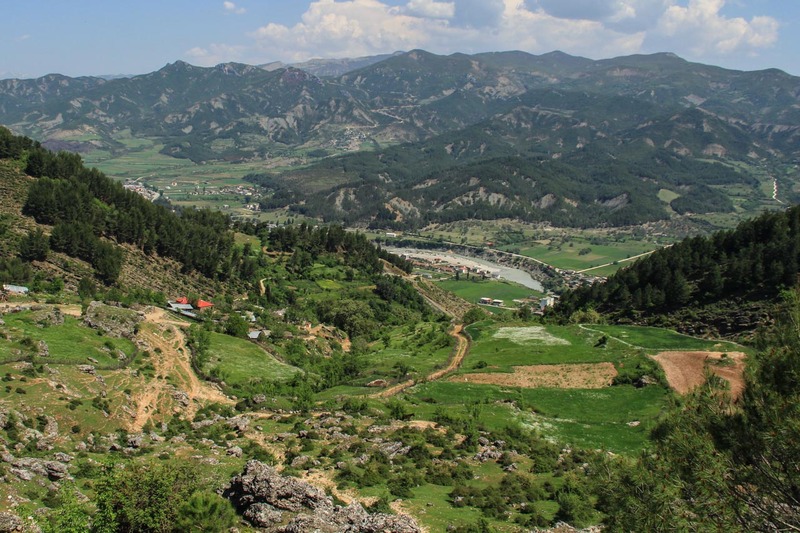 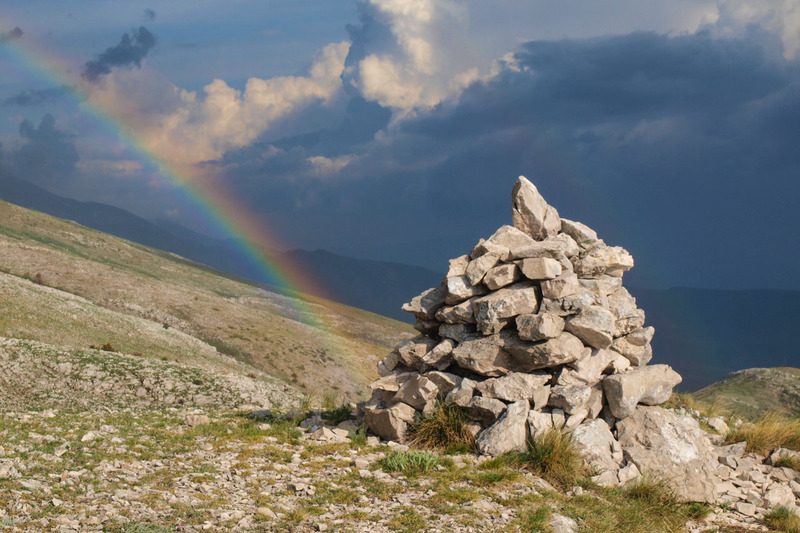 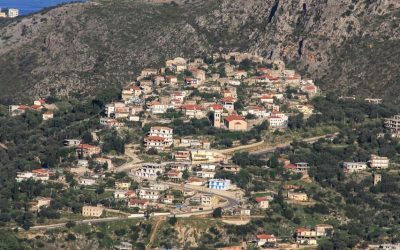 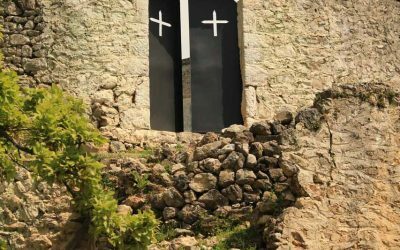 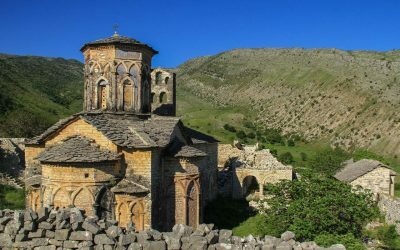 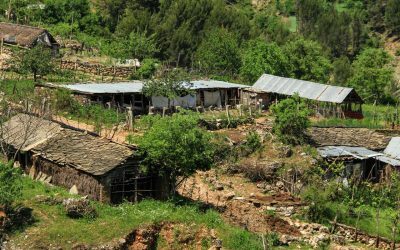 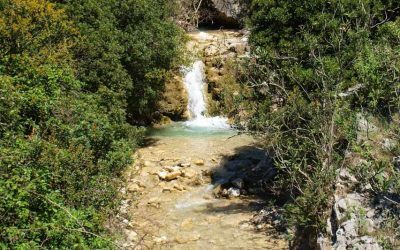 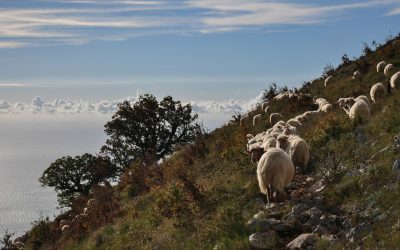 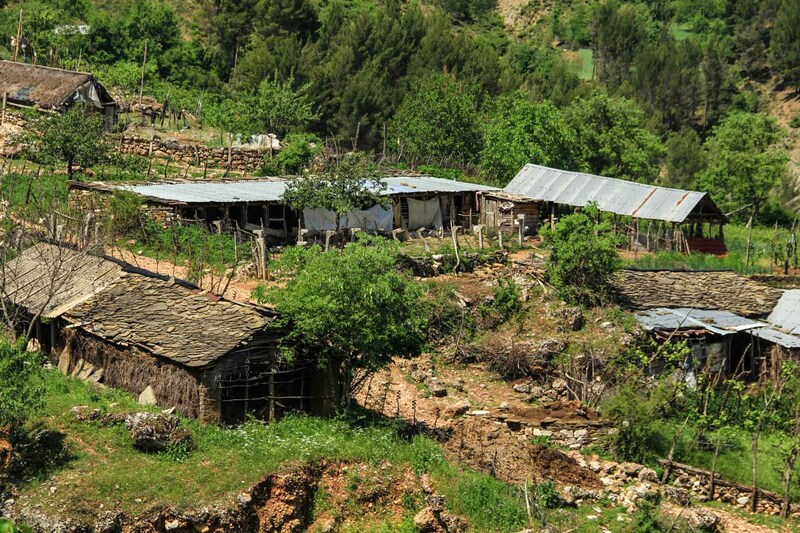 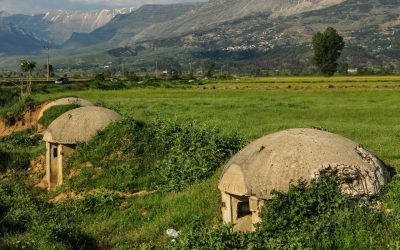 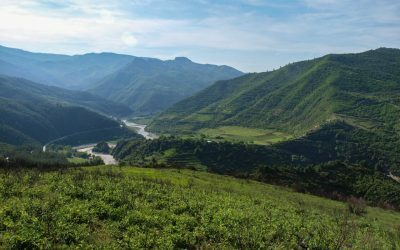 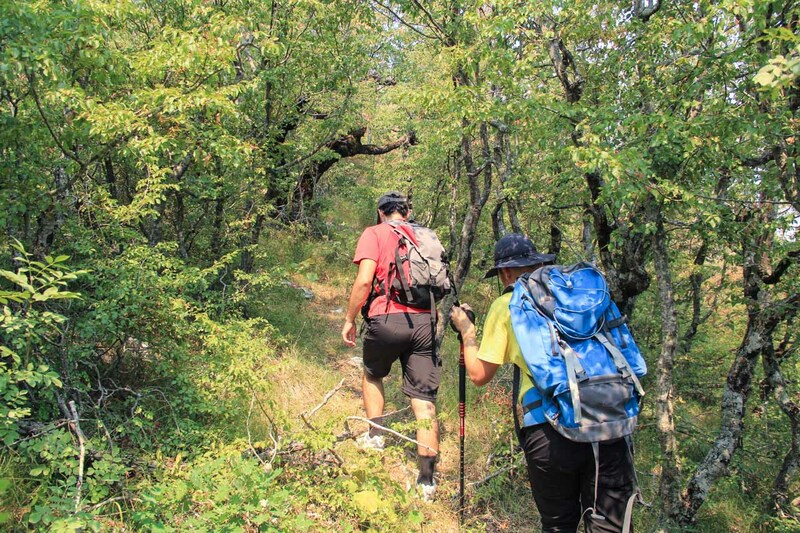 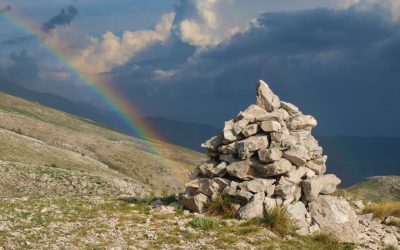 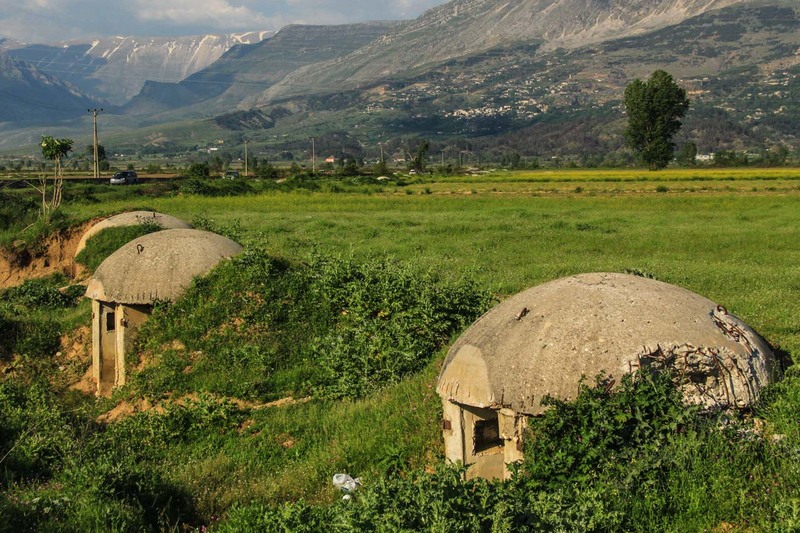 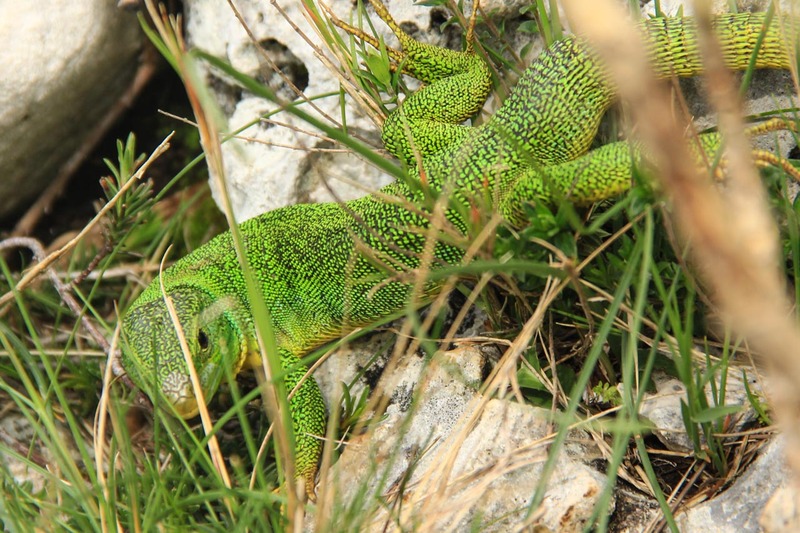 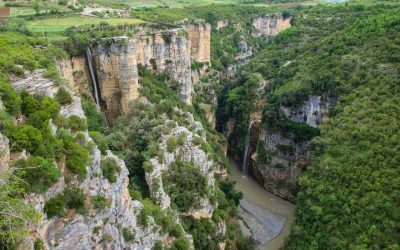 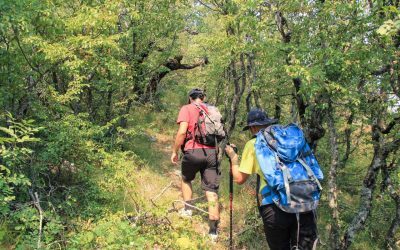 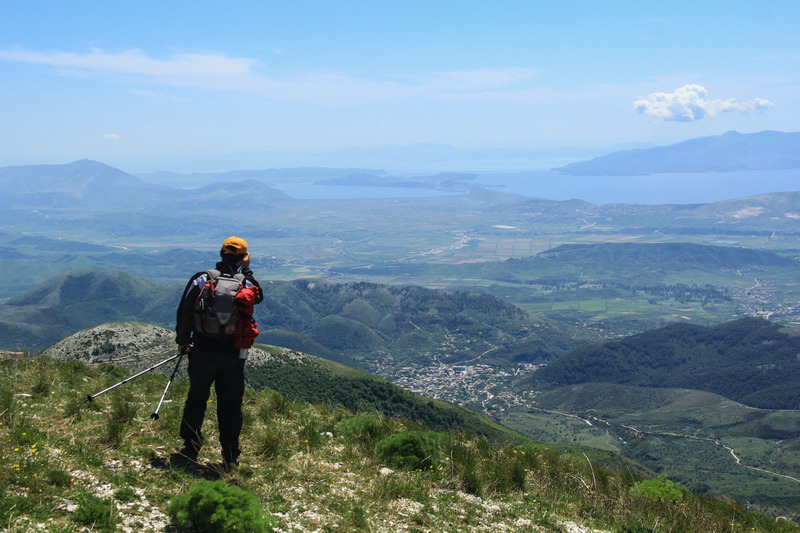 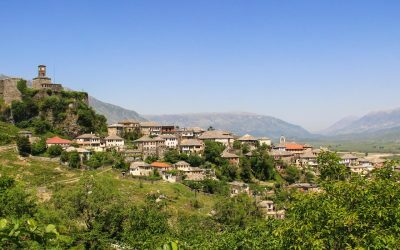 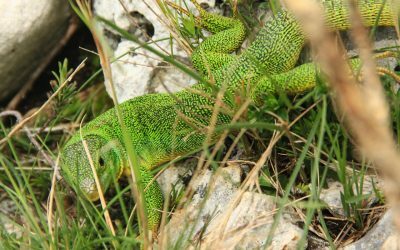 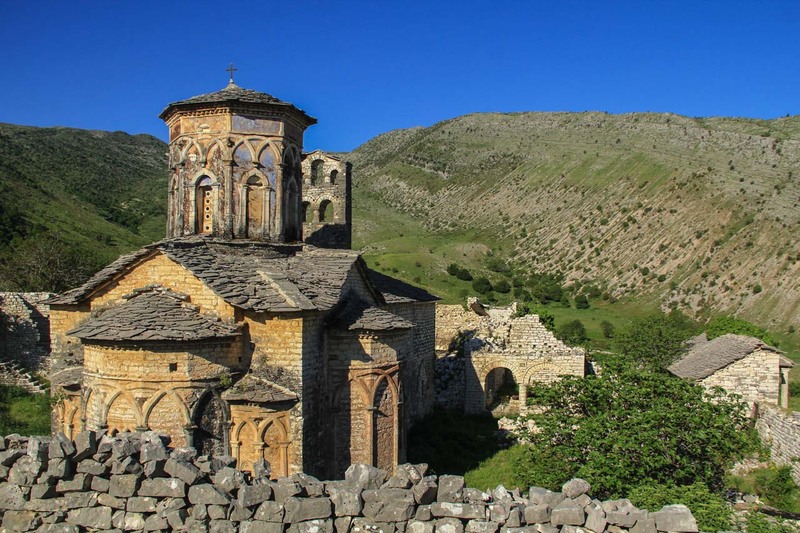 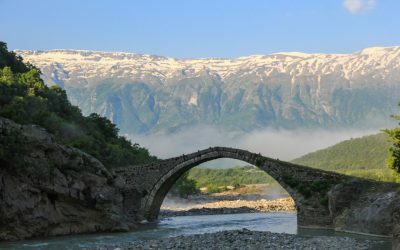 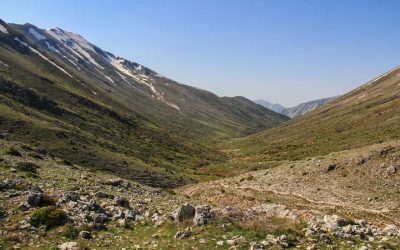 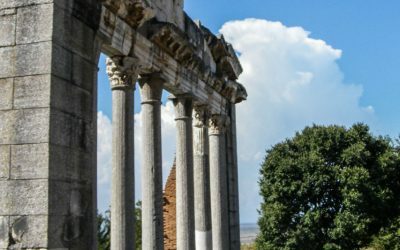 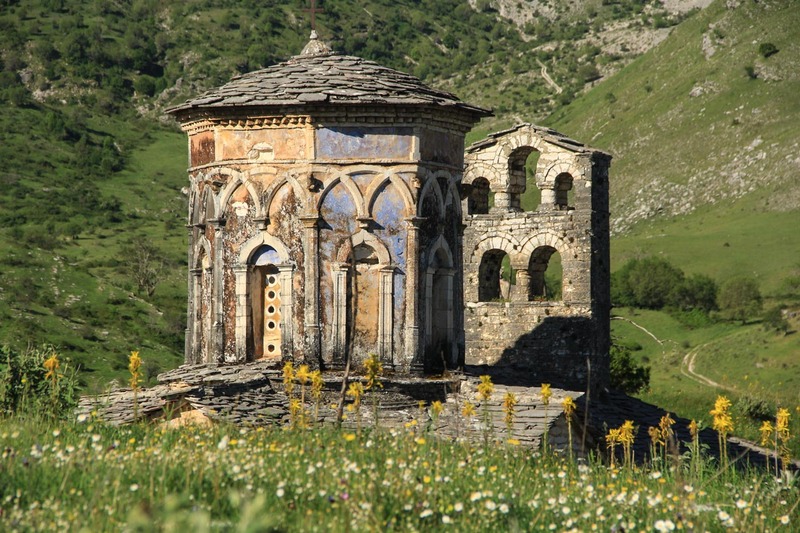 This tour is designed for people who visit Albania’s South for the first time and favour to combine scenic hikes for average fitness levels with most of the cultural highlights in an 8 day itinerary. 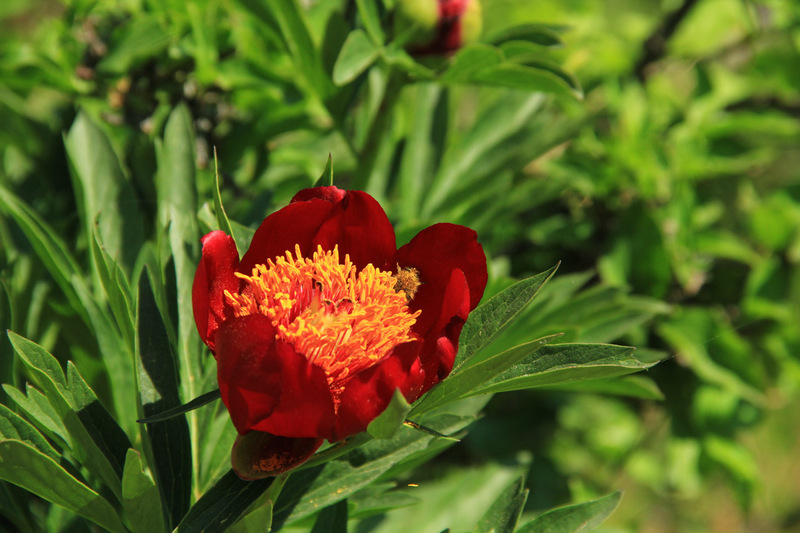 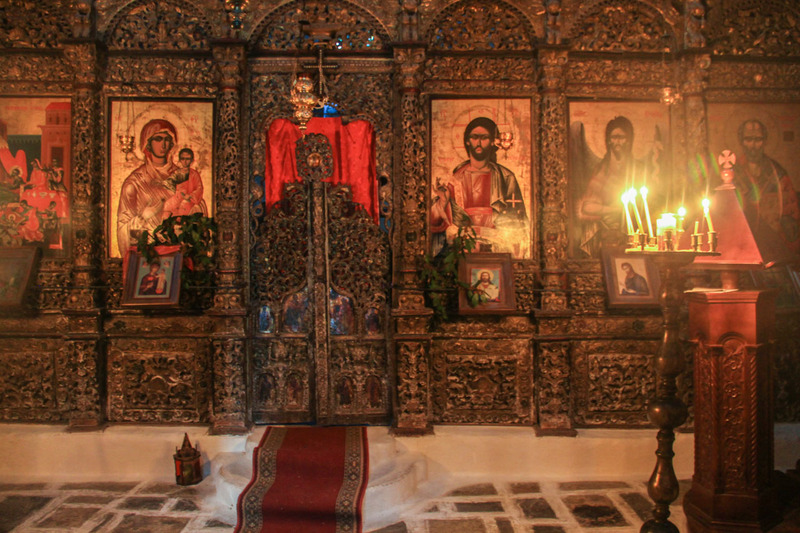 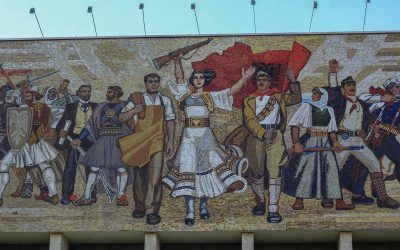 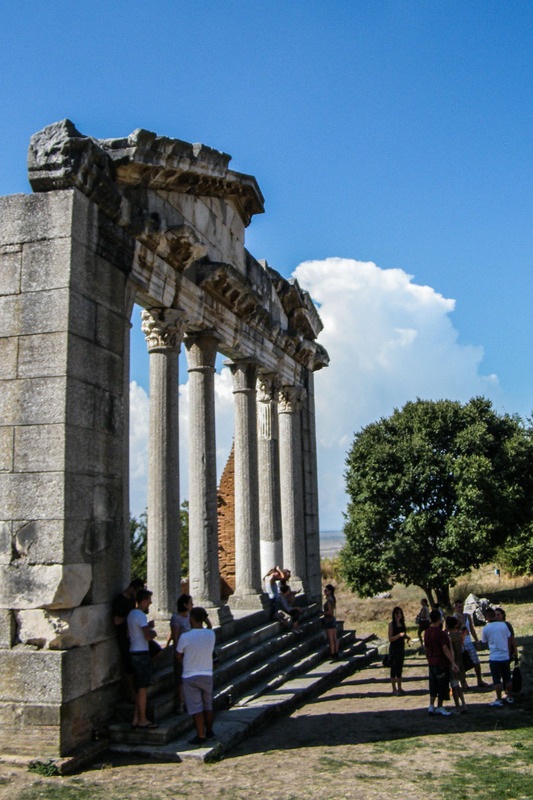 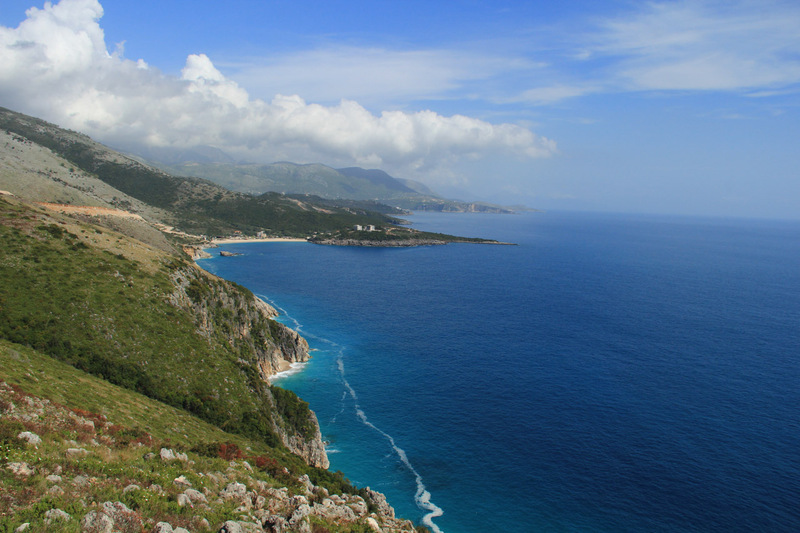 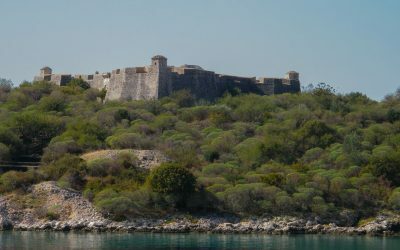 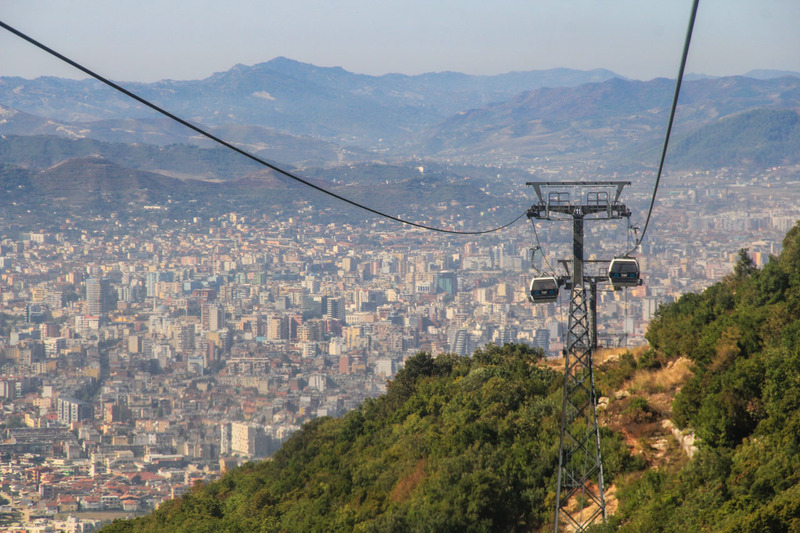 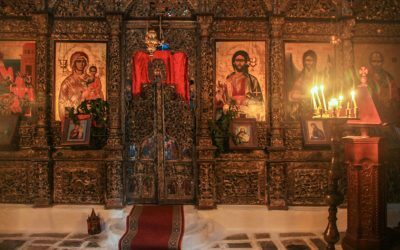 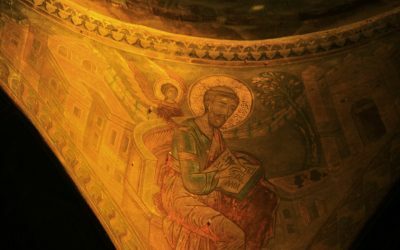 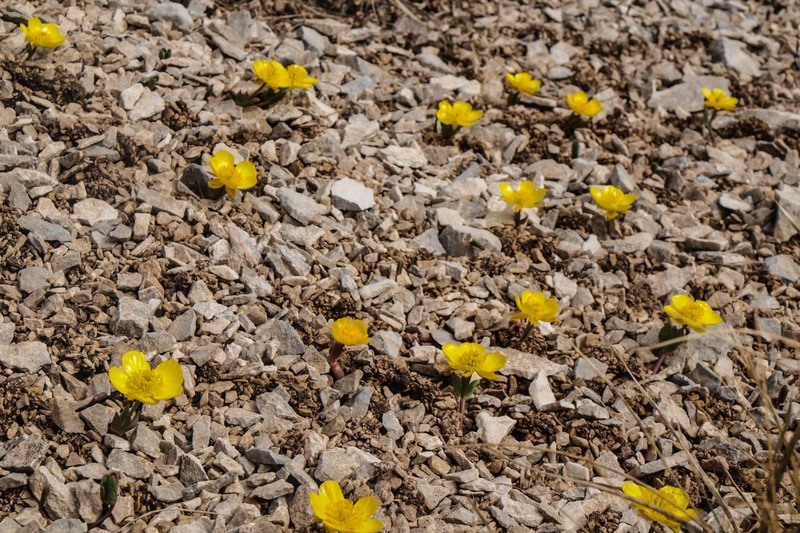 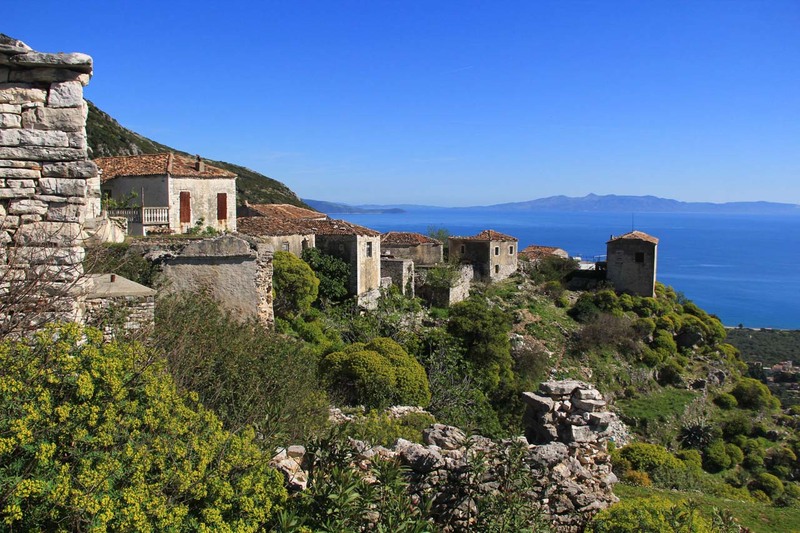 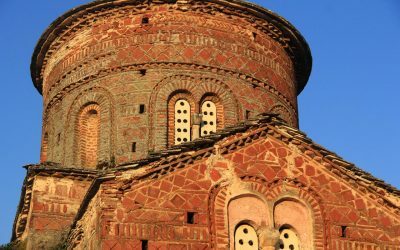 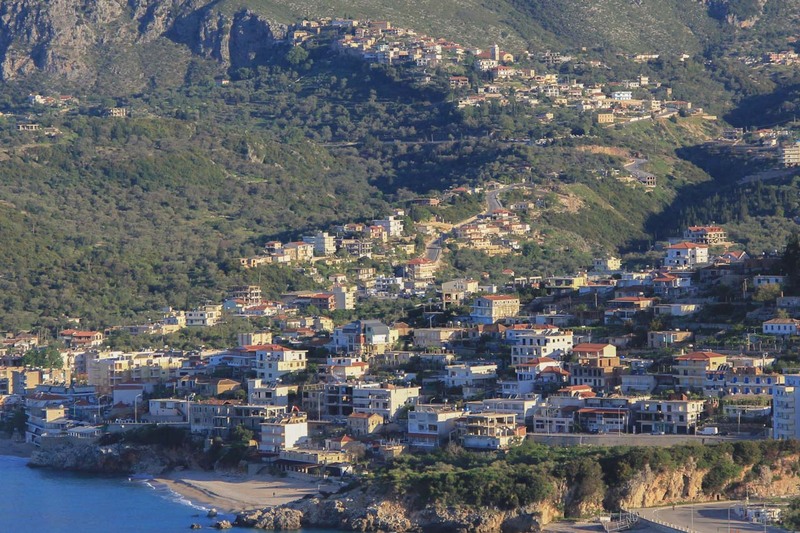 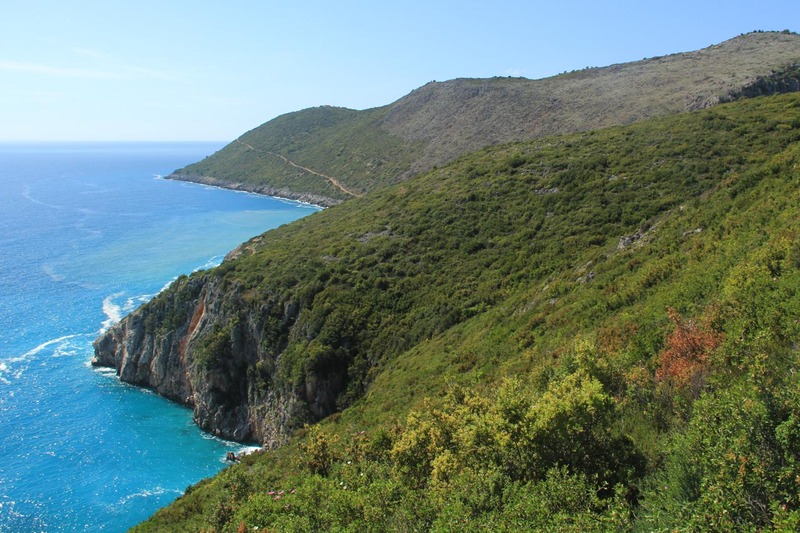 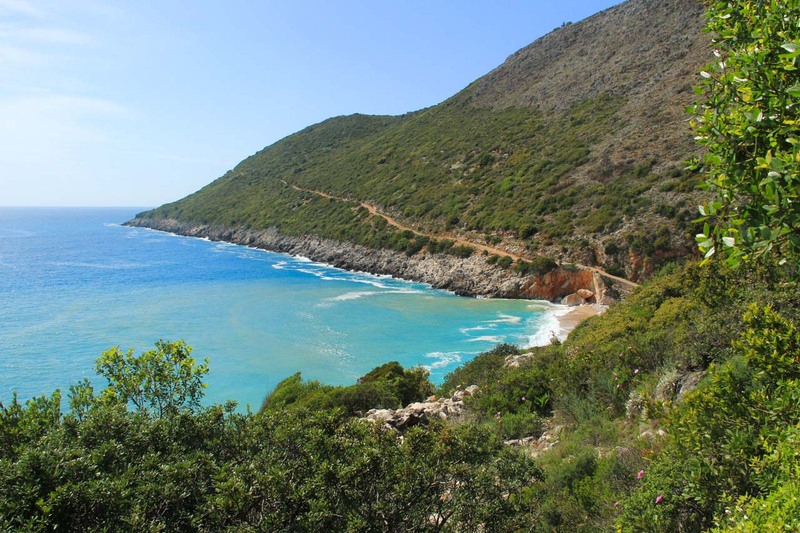 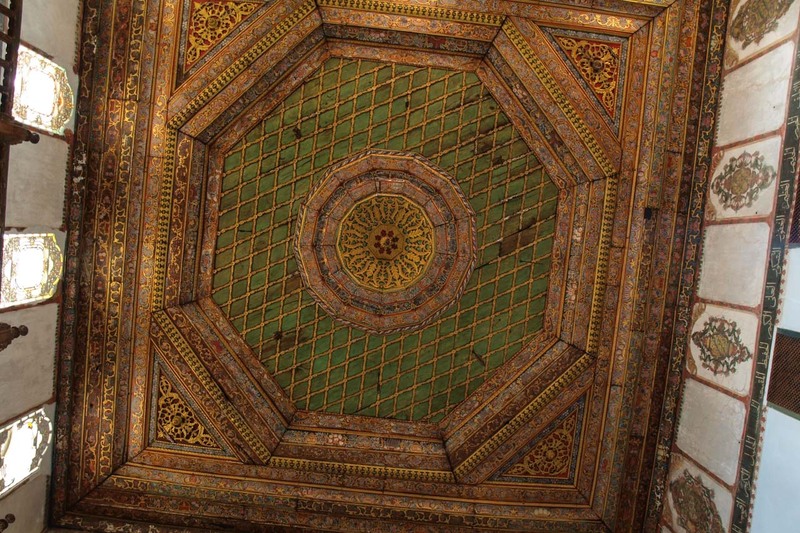 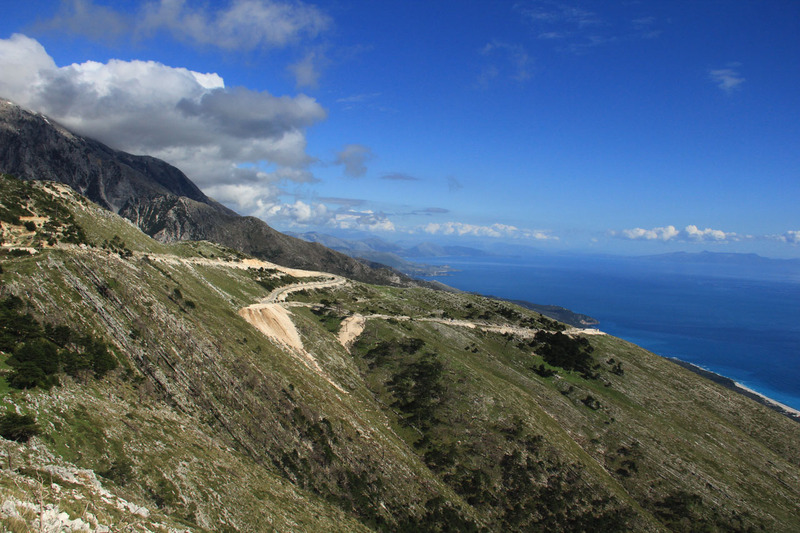 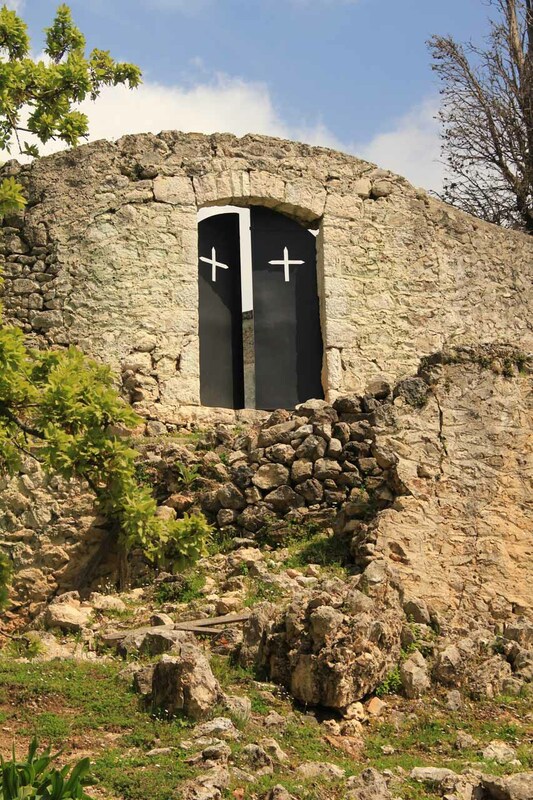 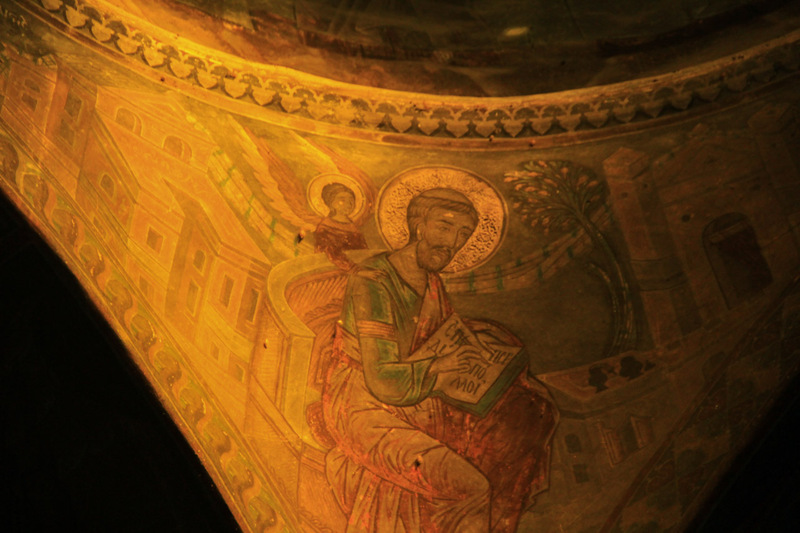 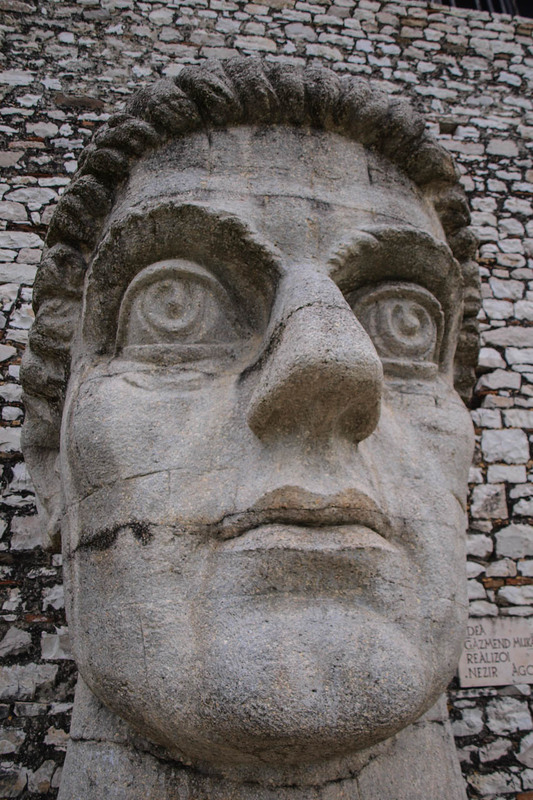 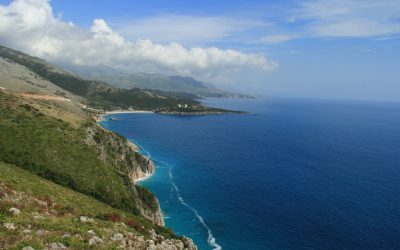 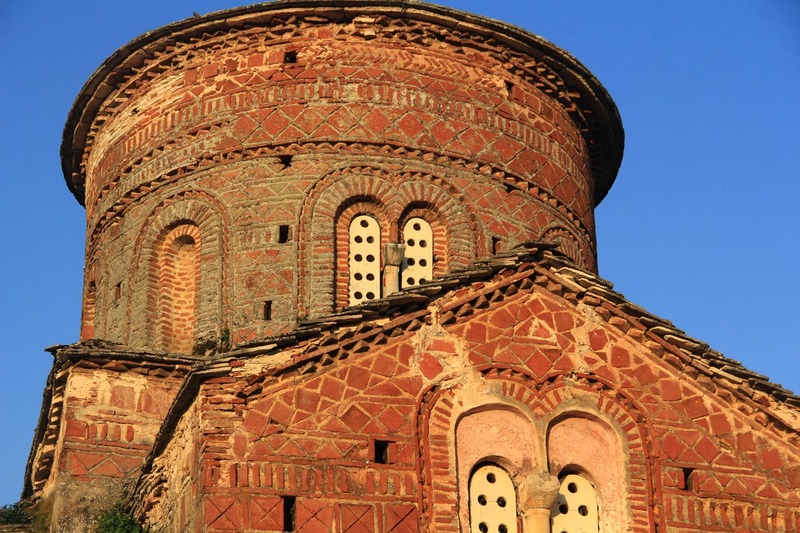 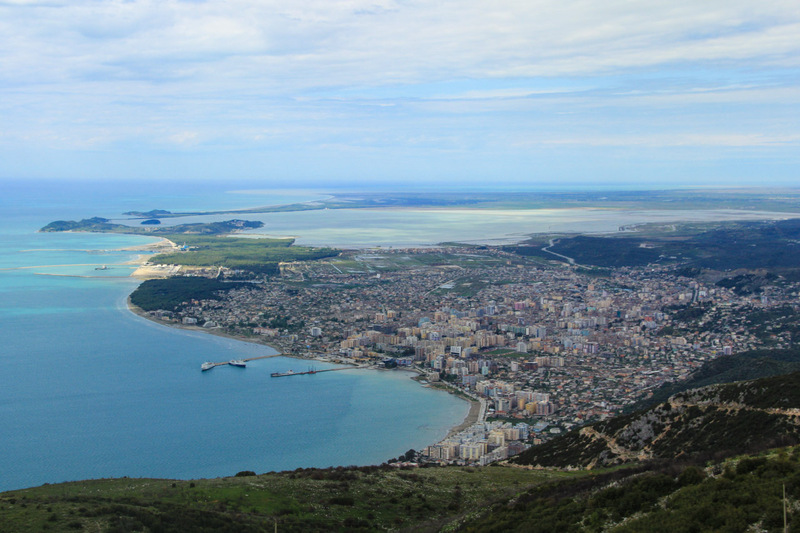 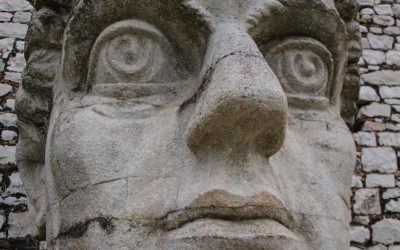 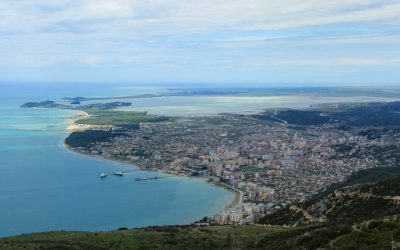 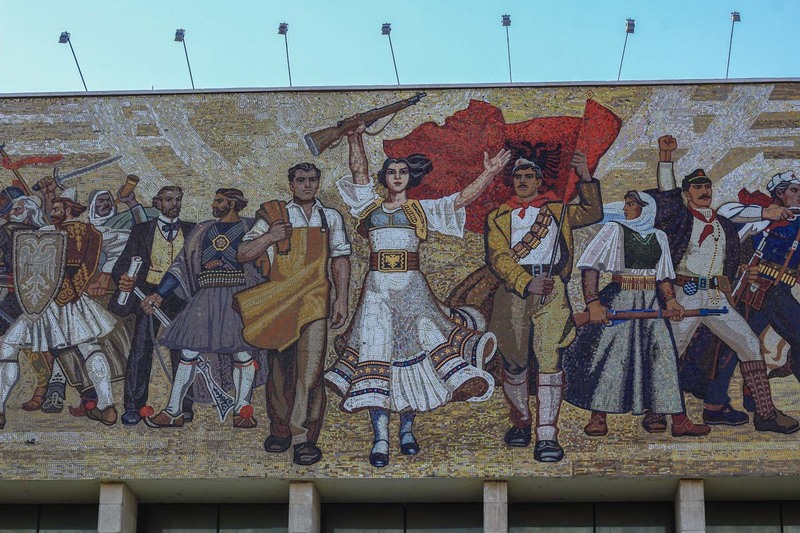 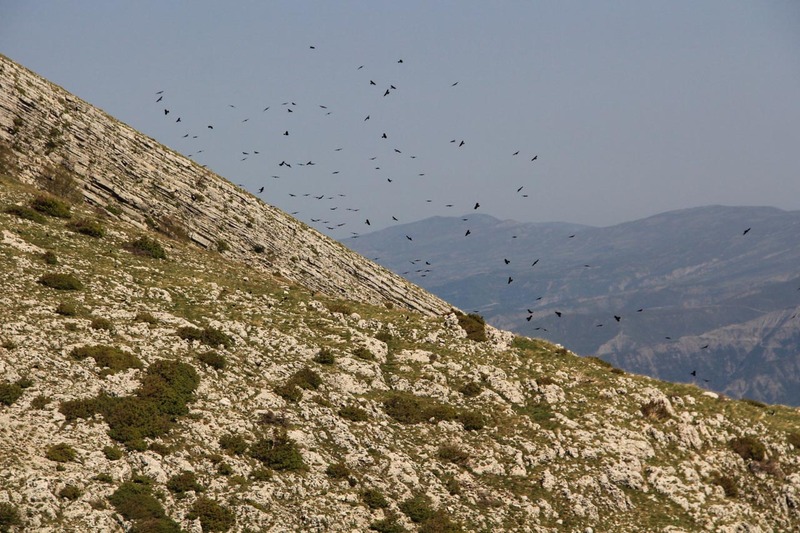 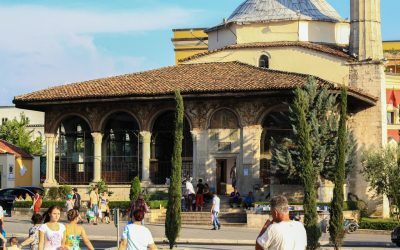 The itinerary covers Albania from Tirana to the southern tip at the border with Greece. 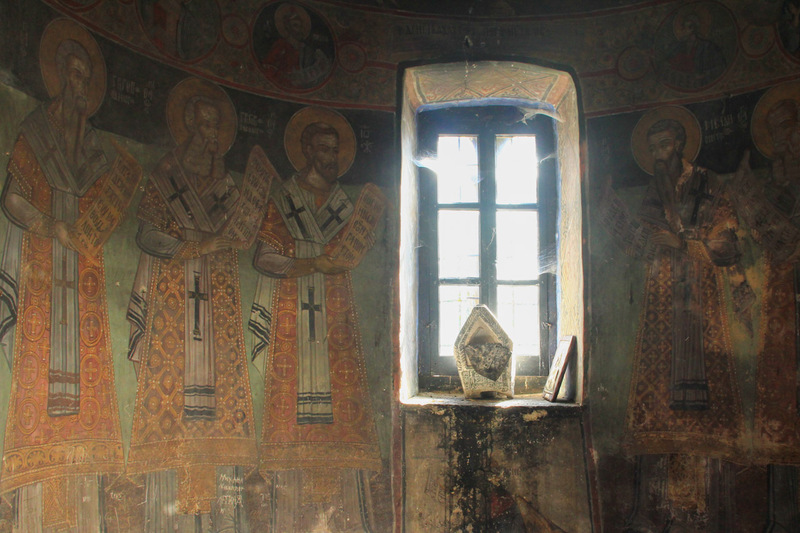 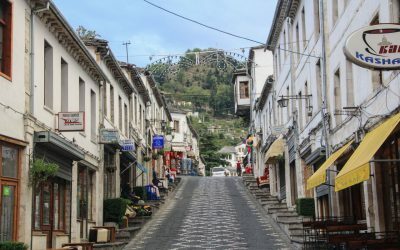 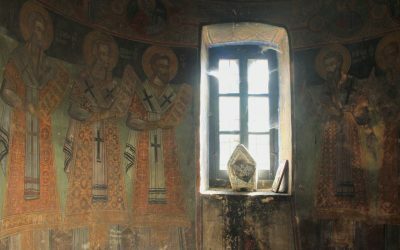 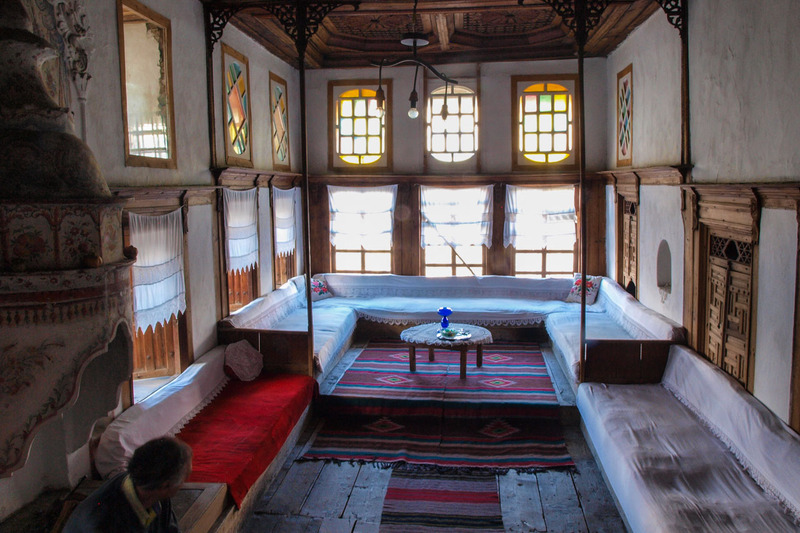 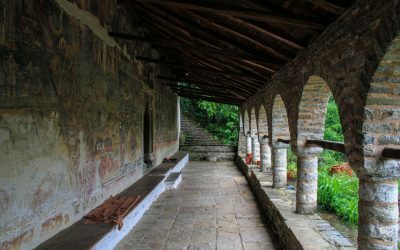 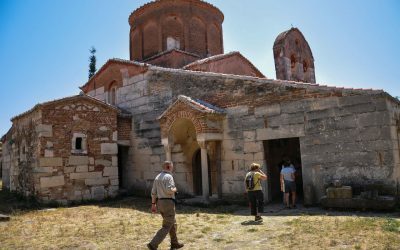 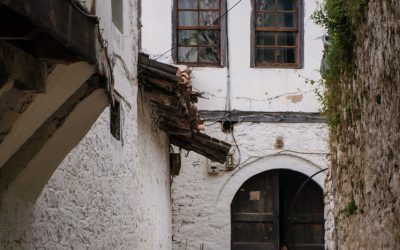 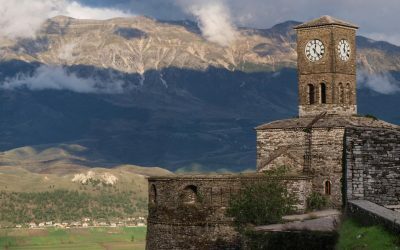 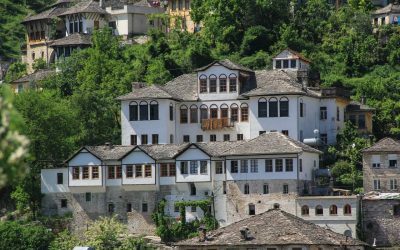 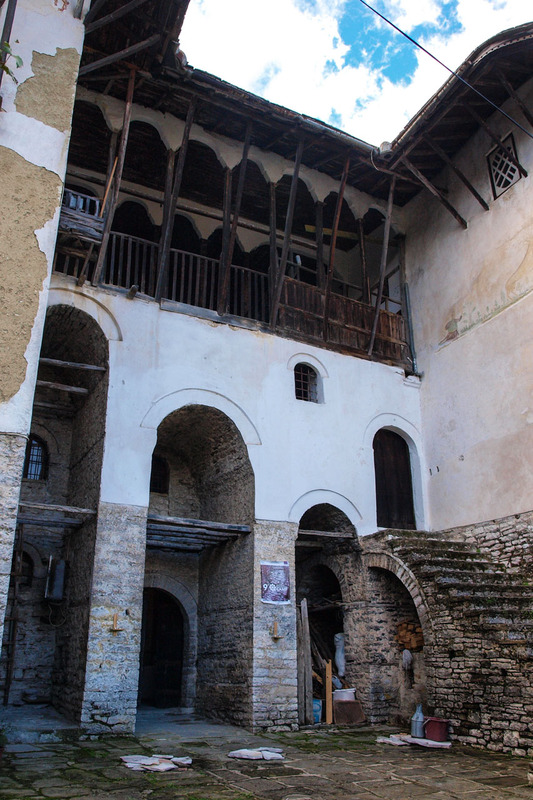 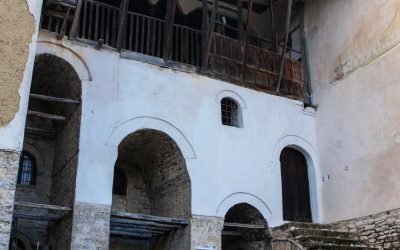 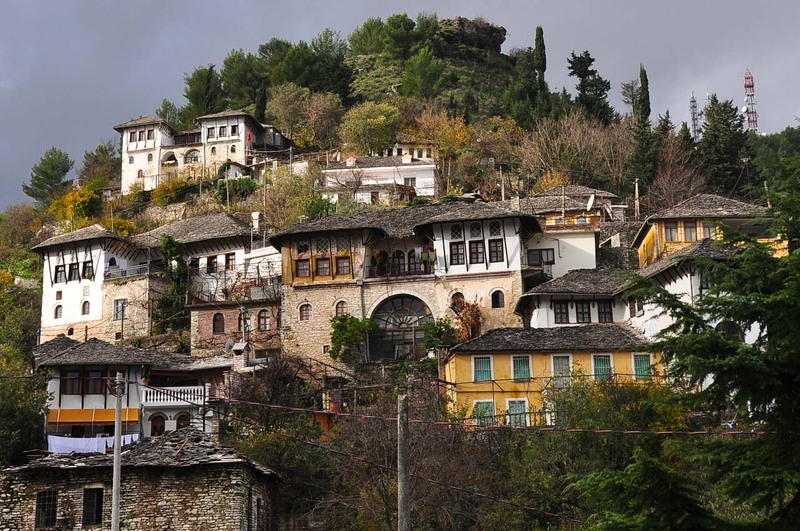 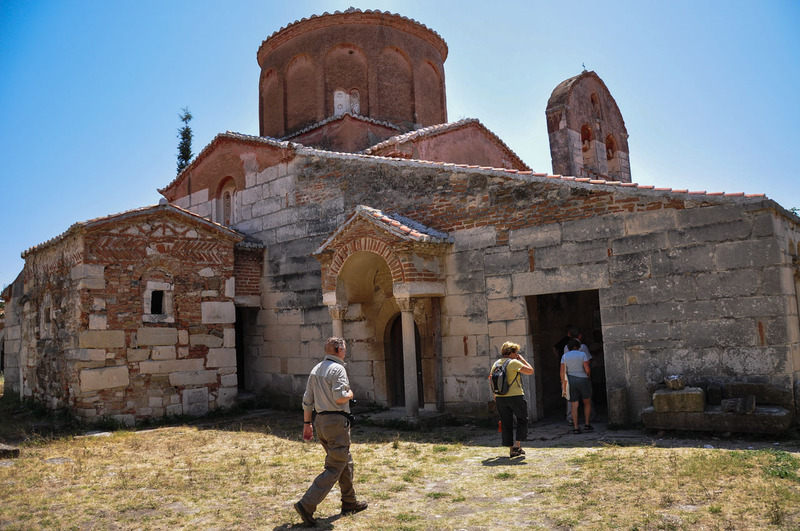 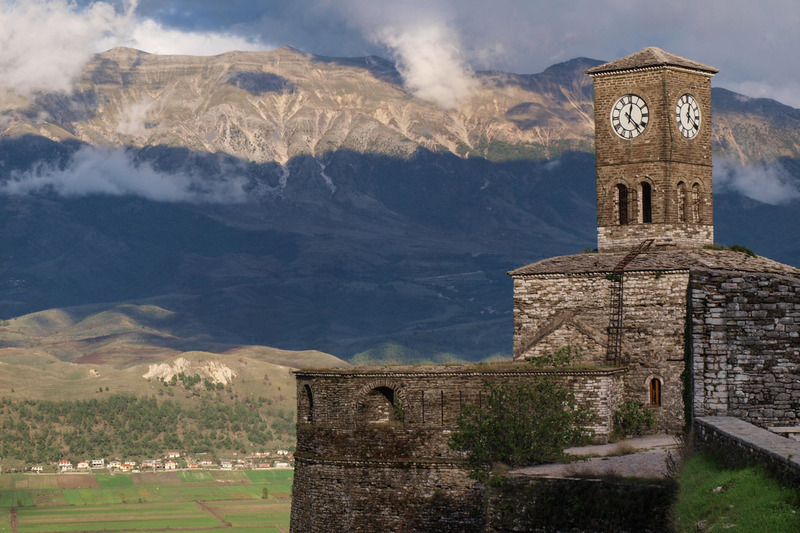 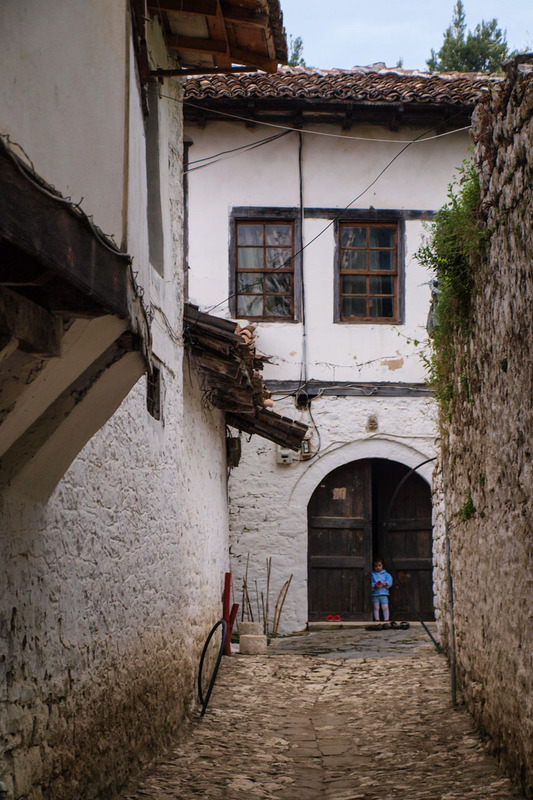 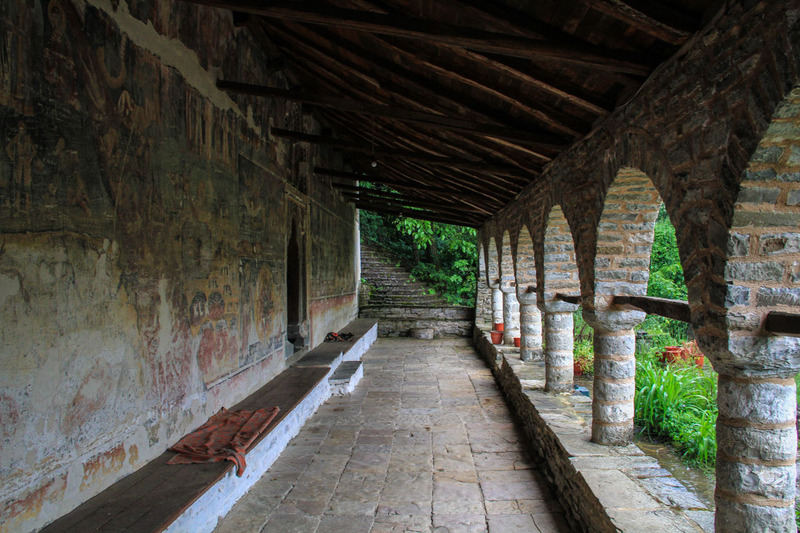 It takes in both the Adriatic and Ionian shore, a whole lot of national parks and two of the most remarkable cities of the Balkans: Gjirokaster and Berat, both dominated by castles and very distinct Ottoman houses. 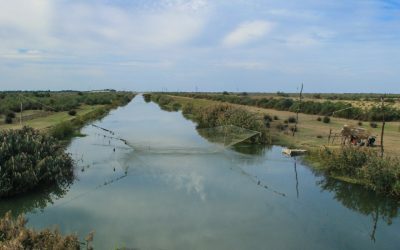 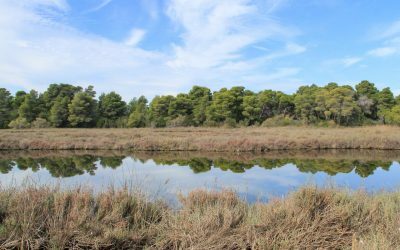 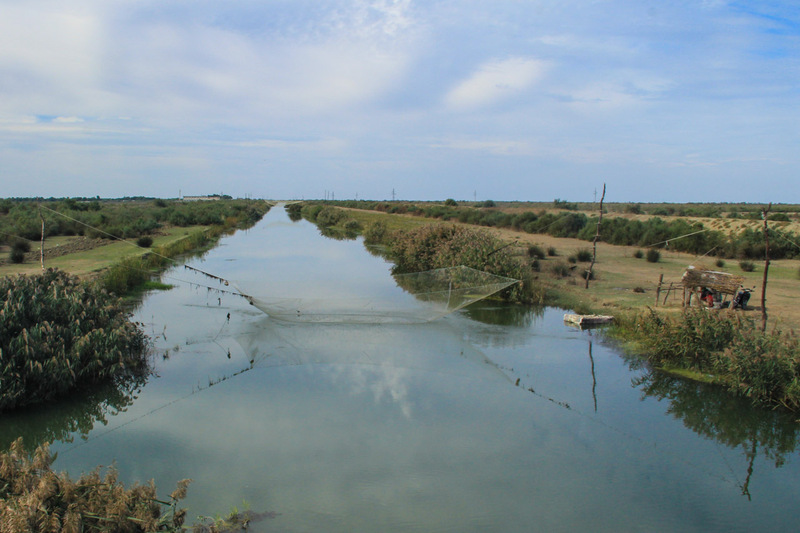 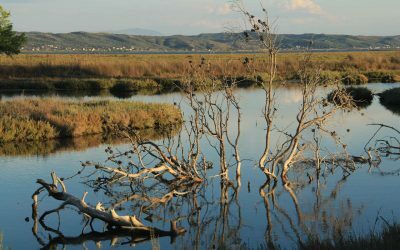 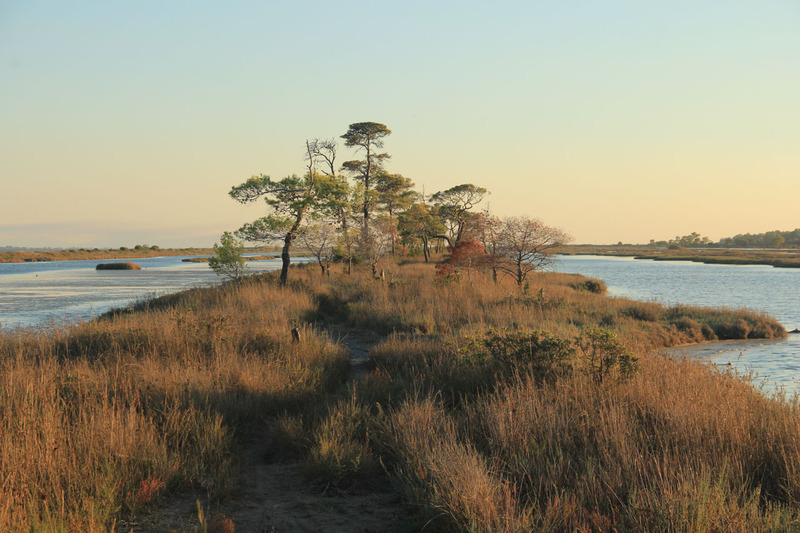 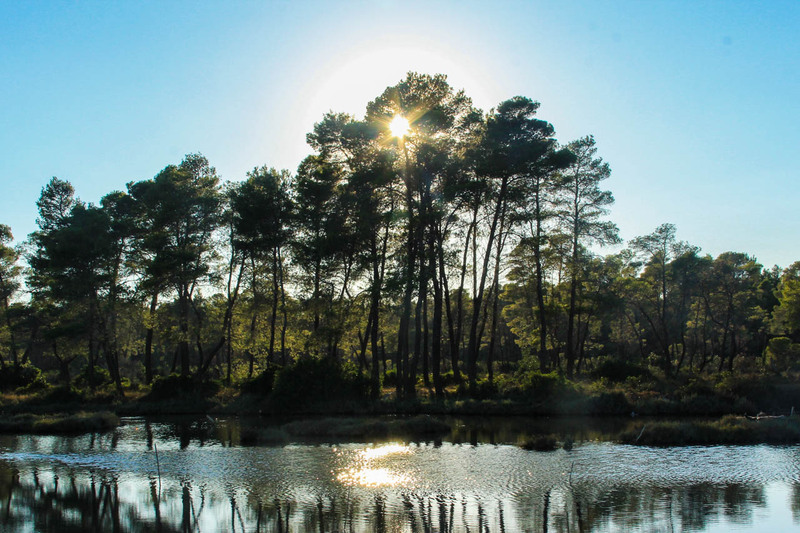 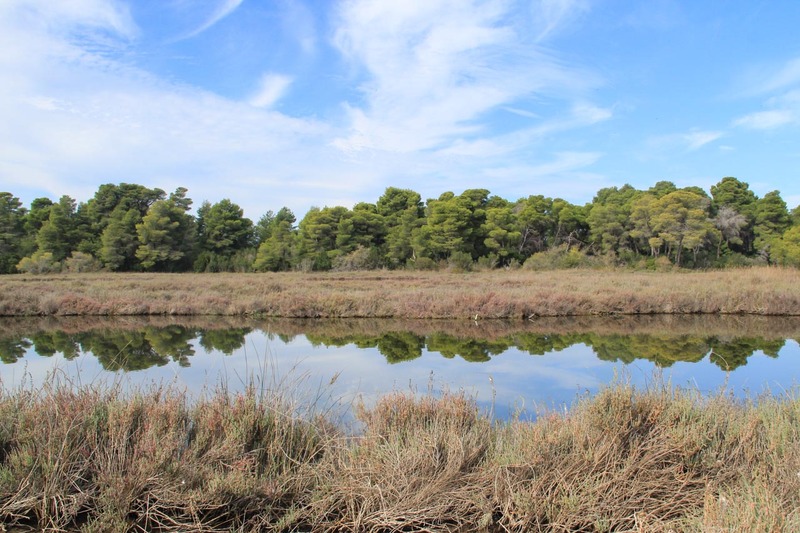 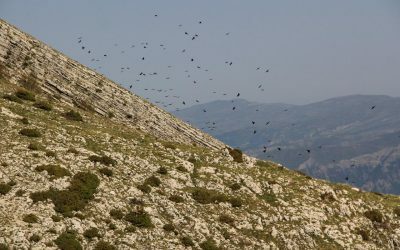 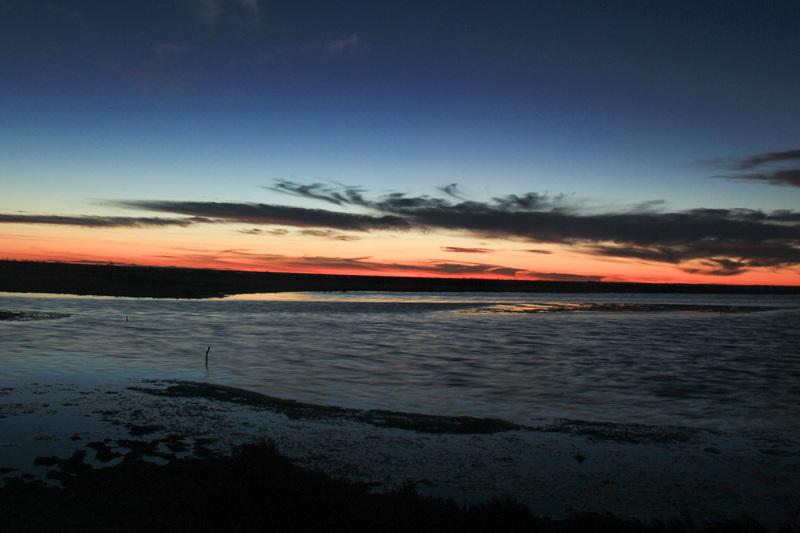 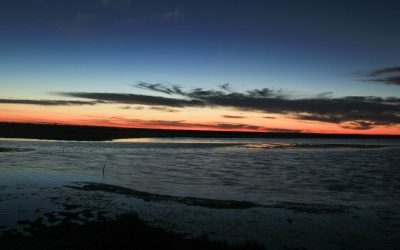 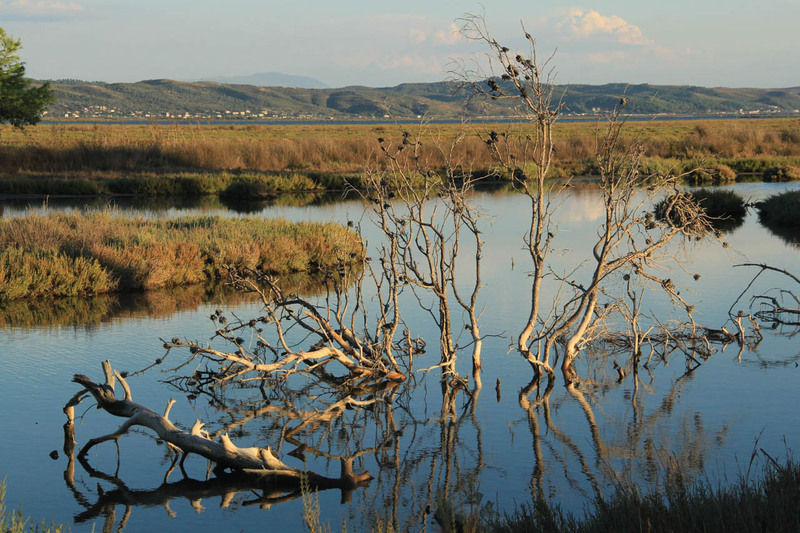 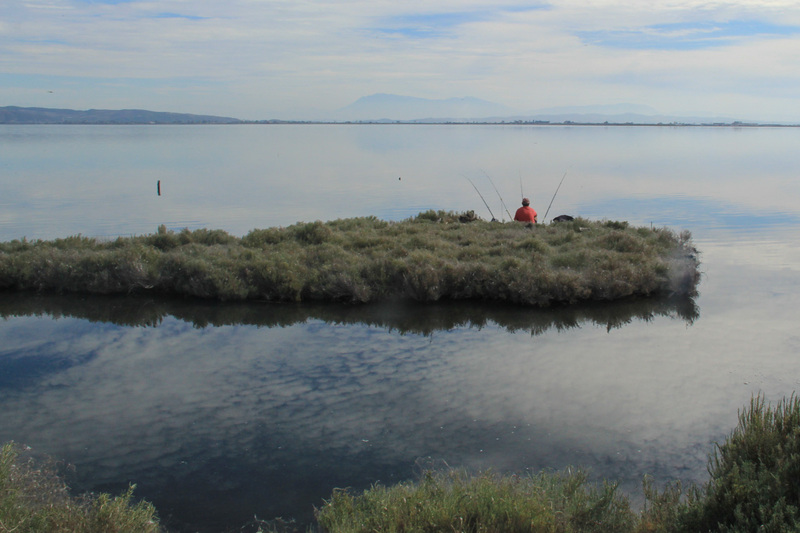 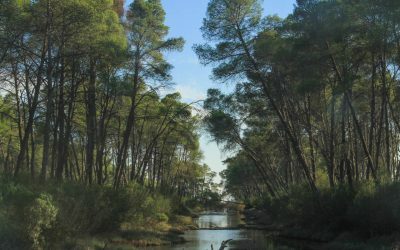 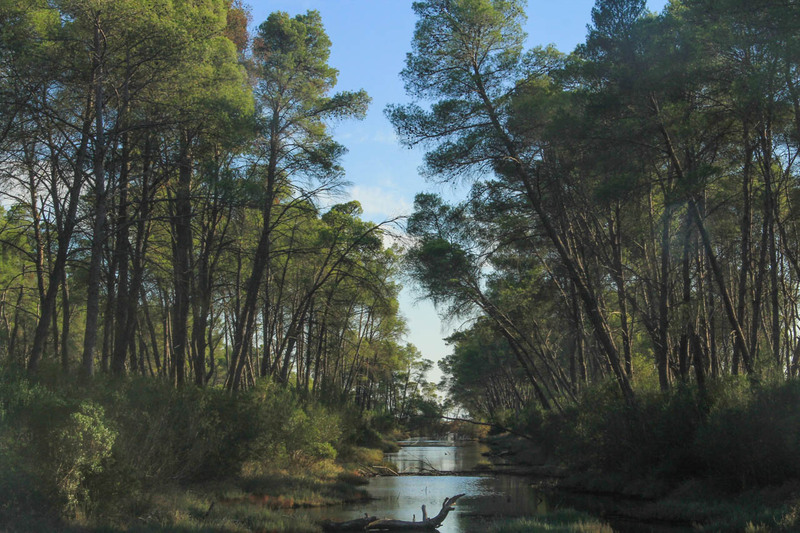 We will start by exploring the Karavasta Lagoon, a Ramsar listed habitat, home to many aquatic bird species and famous for its pelican population, before we continue our travels south to the archaeological site of Apollonia, an ancient Greek city located at the Via Egnatia, the main connection between the Western and Eastern Roman Empire. 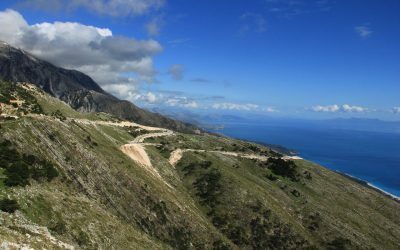 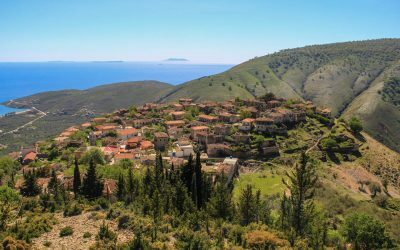 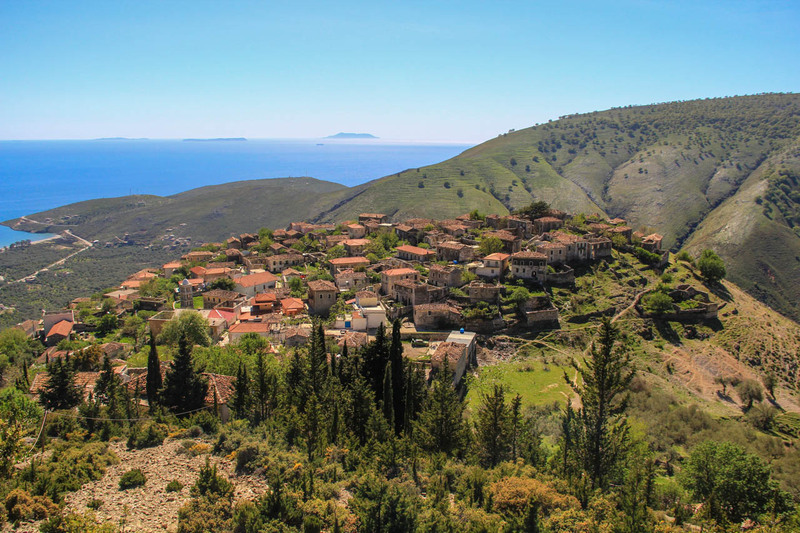 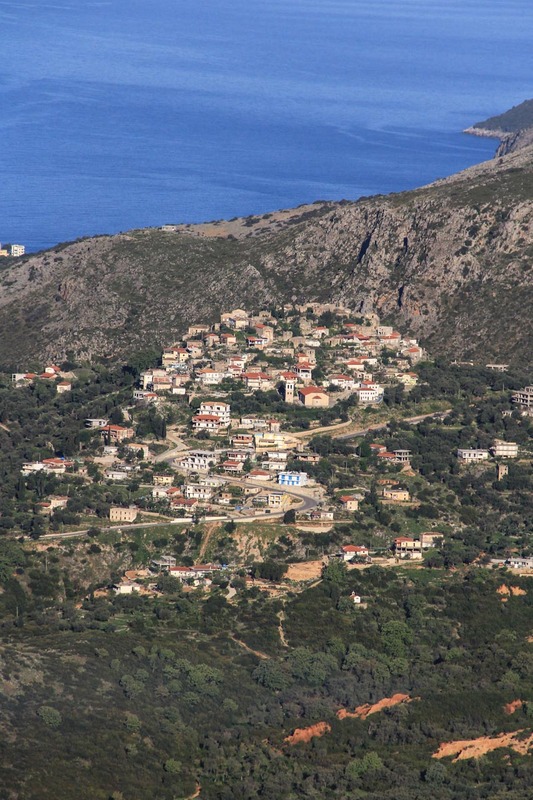 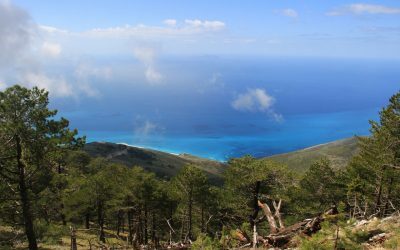 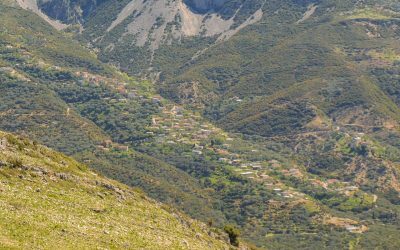 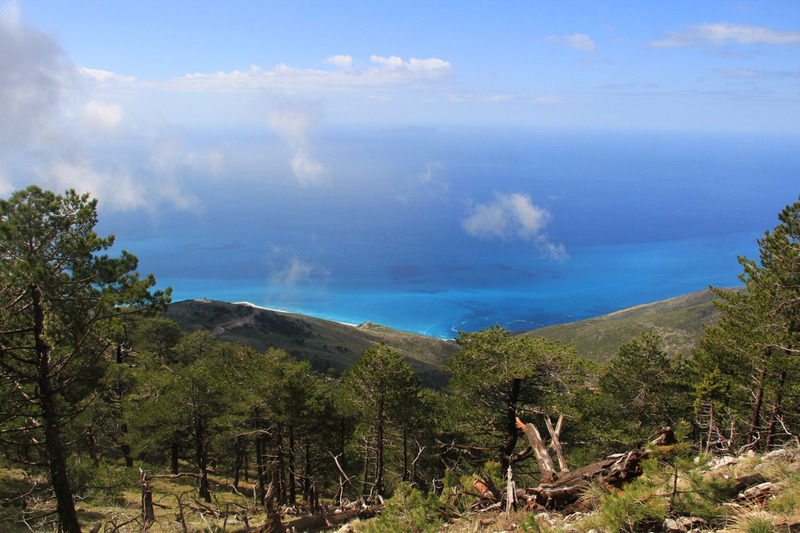 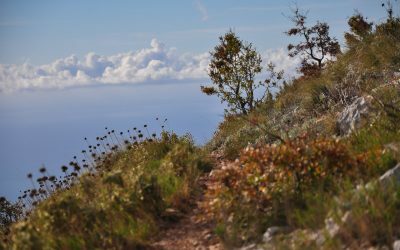 Leaving the Adriatic coast behind, we cross Llogora Pass to enjoy spectacular views from the mountains that plunge from 1400m height right into the turquoise waters of the Ionian Sea. 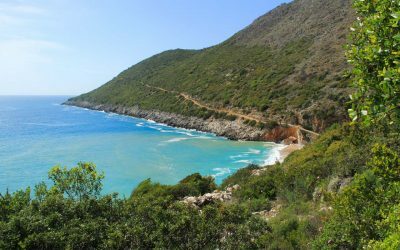 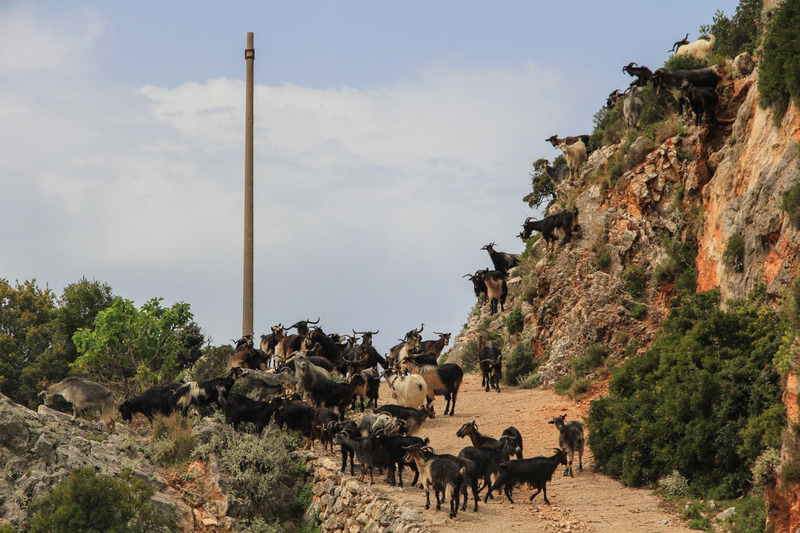 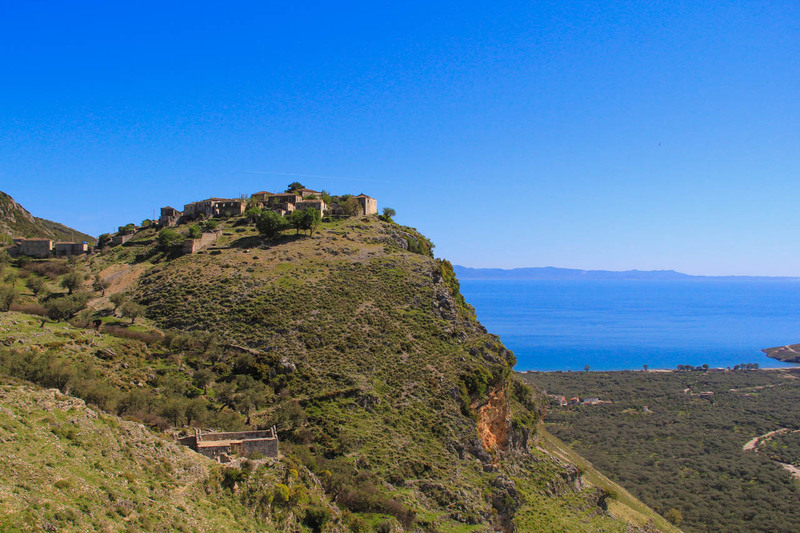 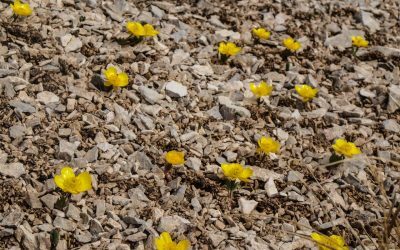 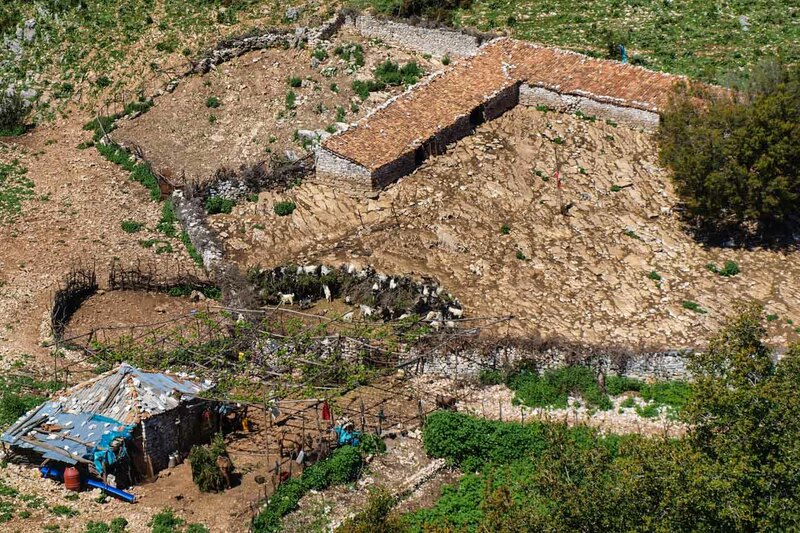 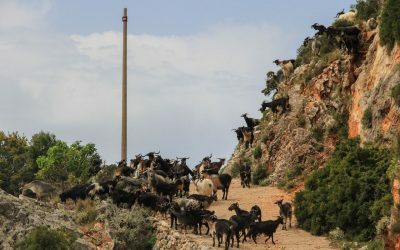 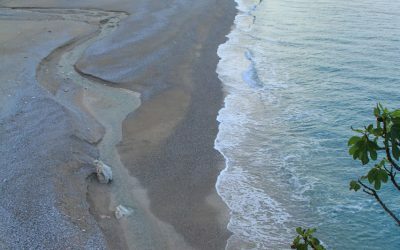 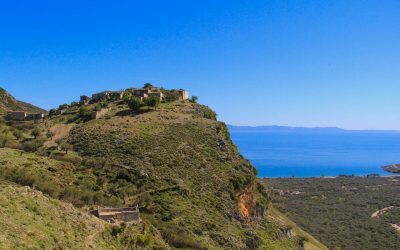 The onwards journey we visit Qeparo Fshat, an old hilltop settlement and our favorite village along the coast, as well as discover how fast sandy beaches can transform into rugged cliffs. 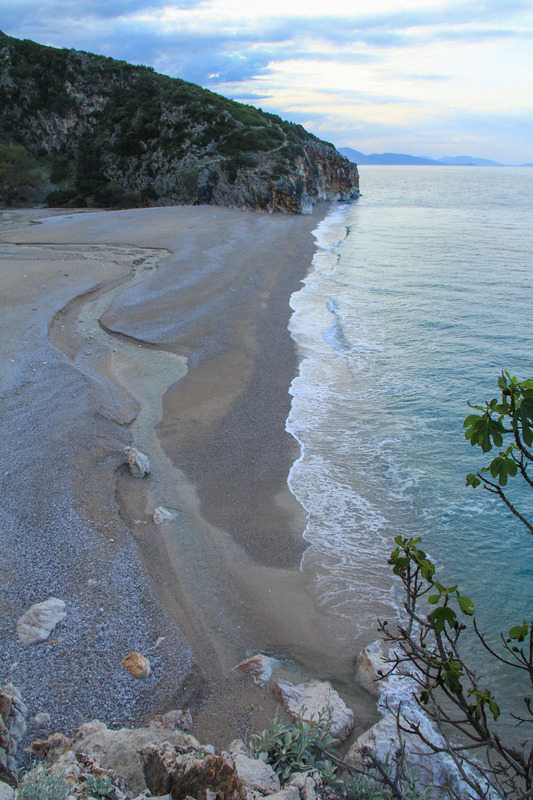 We will end the day at the tranquil hidden beach of Gjipe where we spend an easy afternoon. 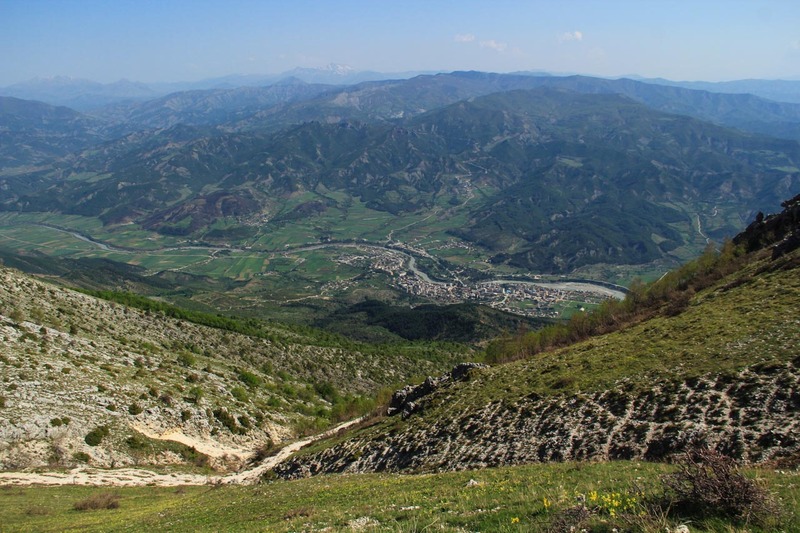 An obstacle that we will overcome on the next day is the Gjere mountain range. 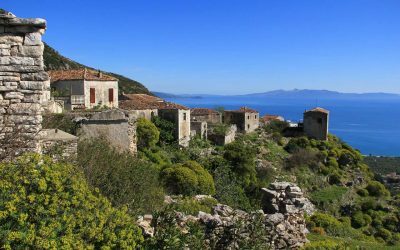 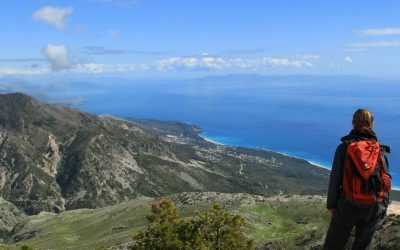 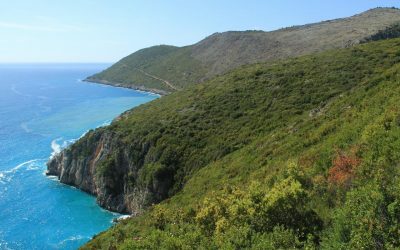 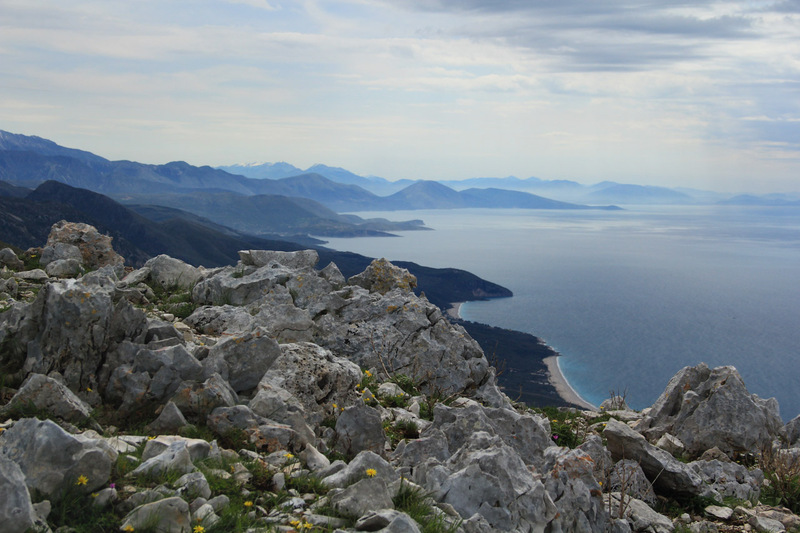 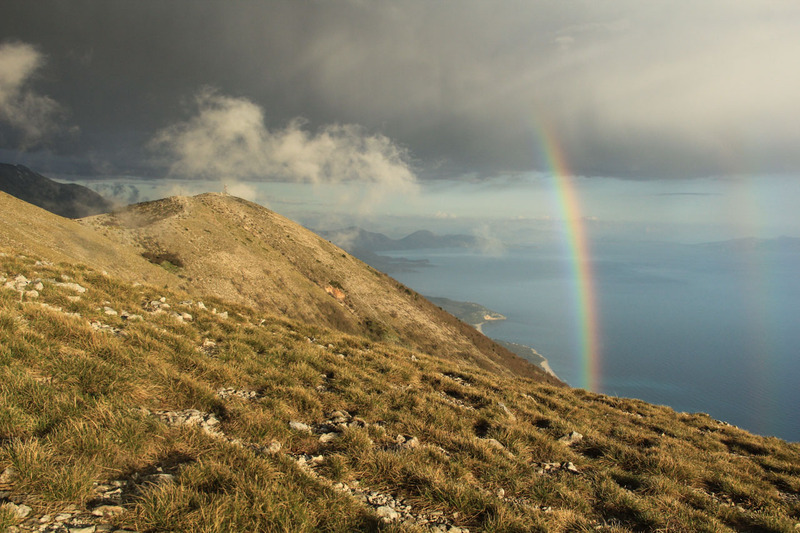 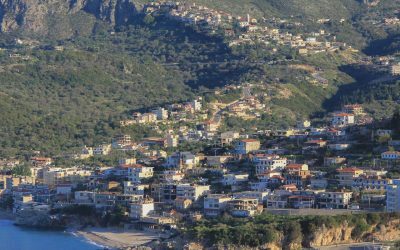 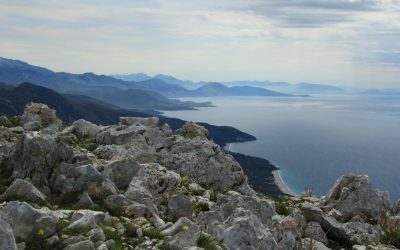 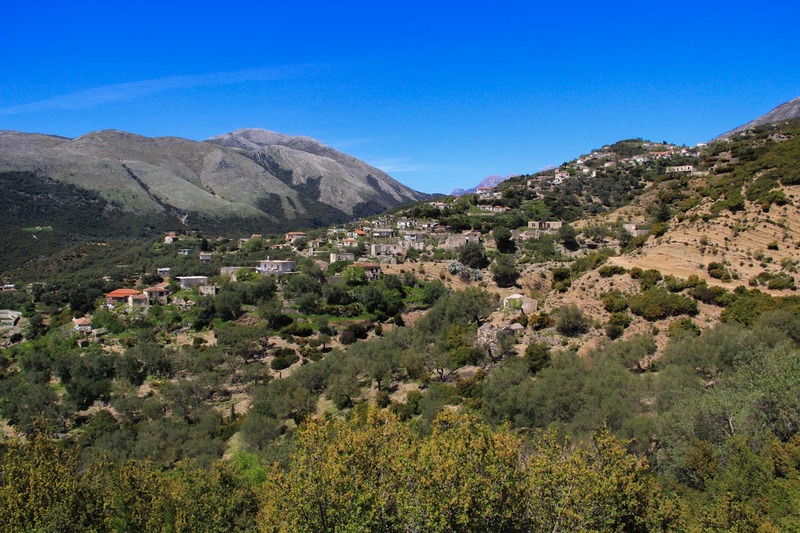 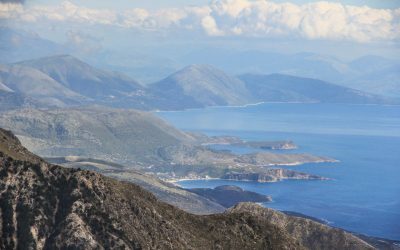 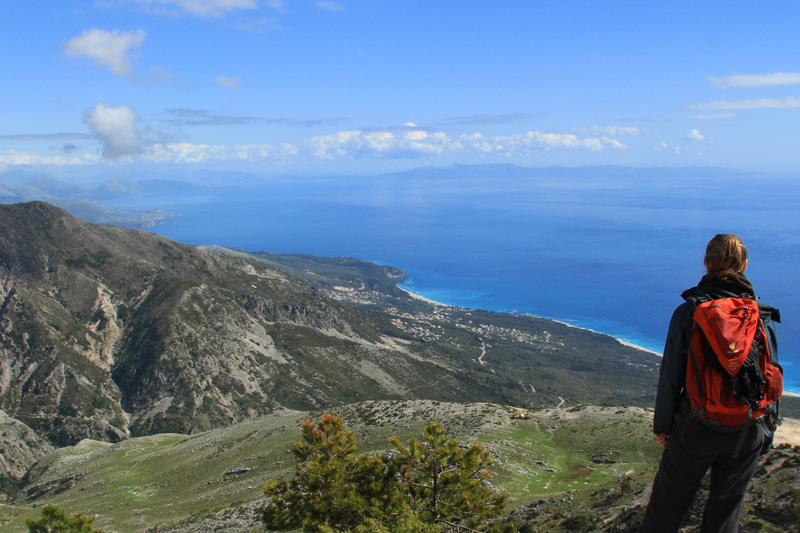 At about 1600m views of Corfu, the coastline and several other ranges are breathtaking. 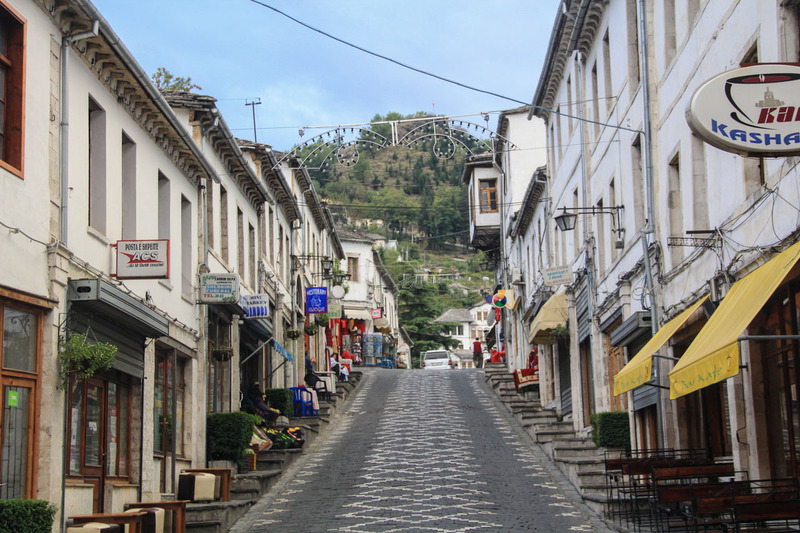 From the top we descend into the Drinos Valley and explore the truly unique city of Gjirokaster. 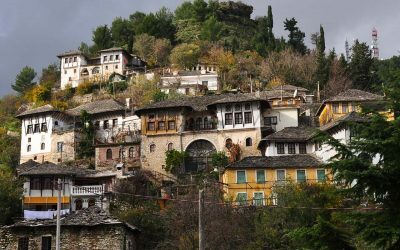 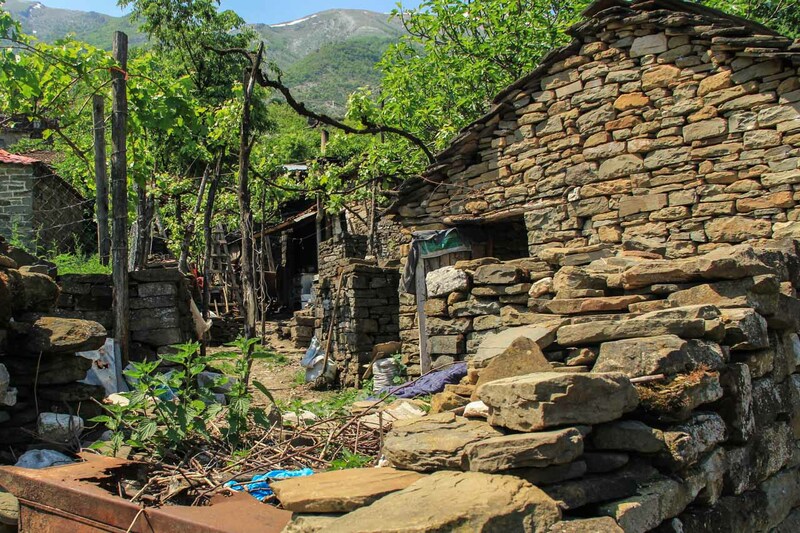 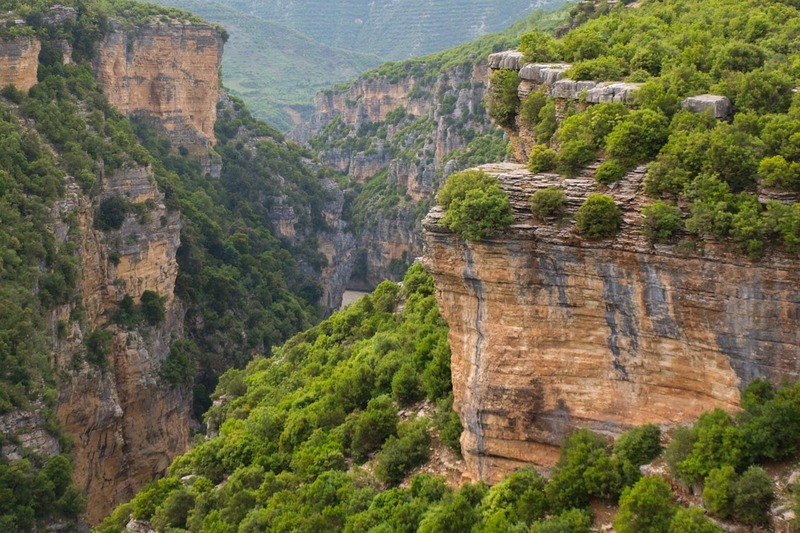 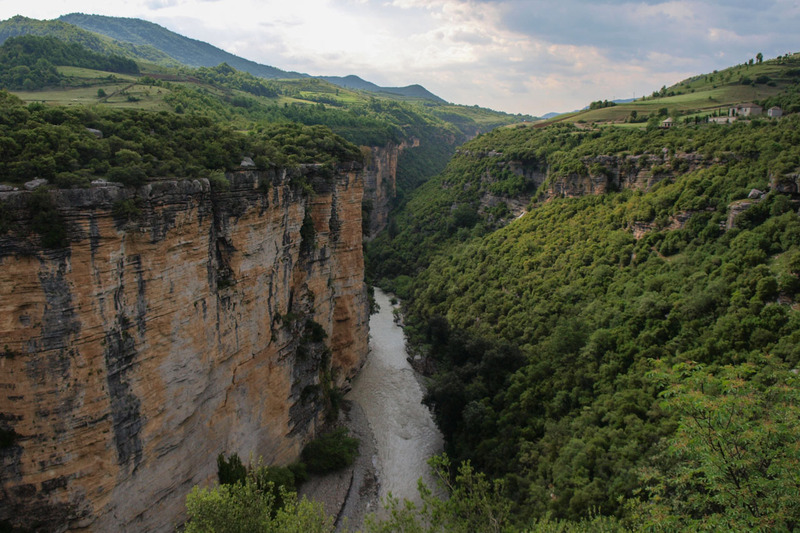 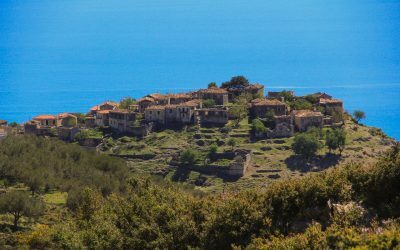 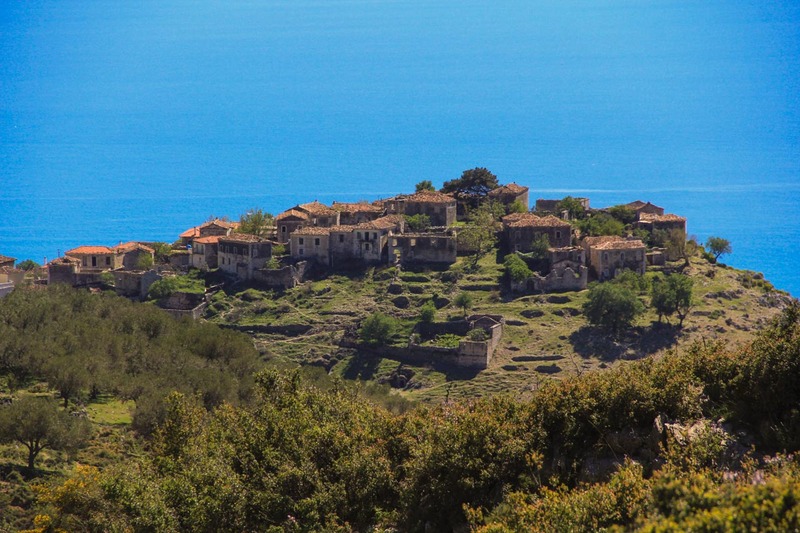 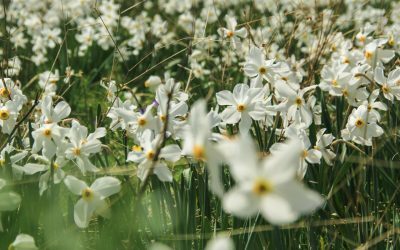 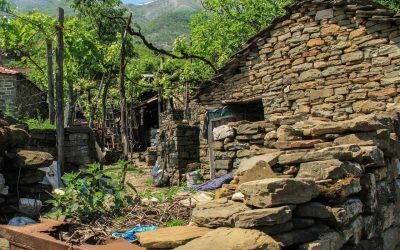 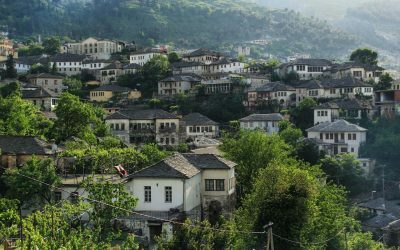 Following this already well-known destination, our tour goes off the beaten track into the Zagoria Valley. 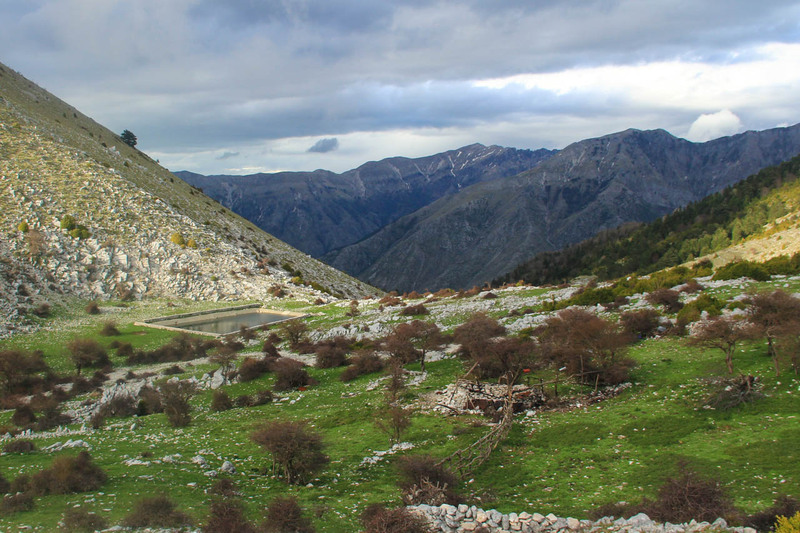 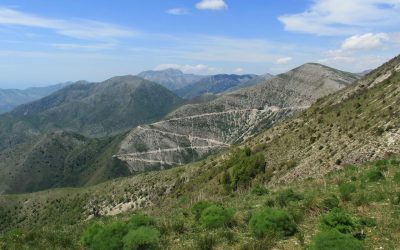 Only one road goes in and instead of traveling over 100km out of it and on to Permet, we cross the 1450m high pass by foot on an ancient but still utilised trail to the Vjosa Valley. 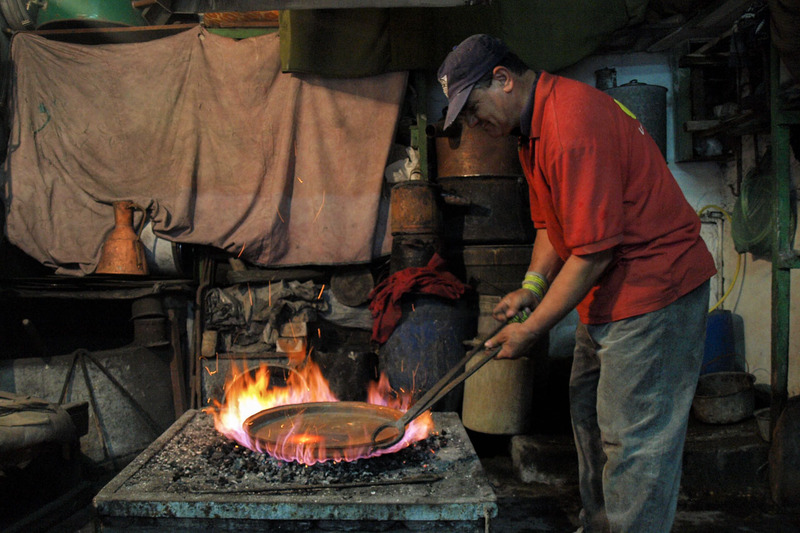 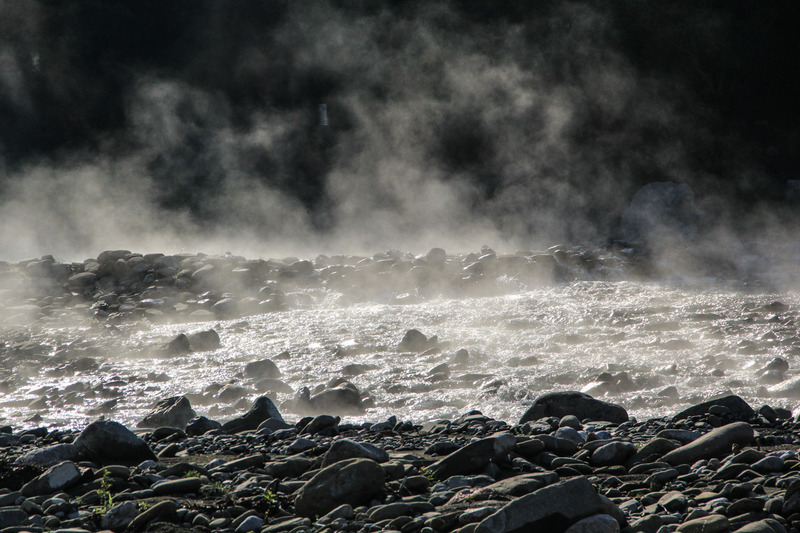 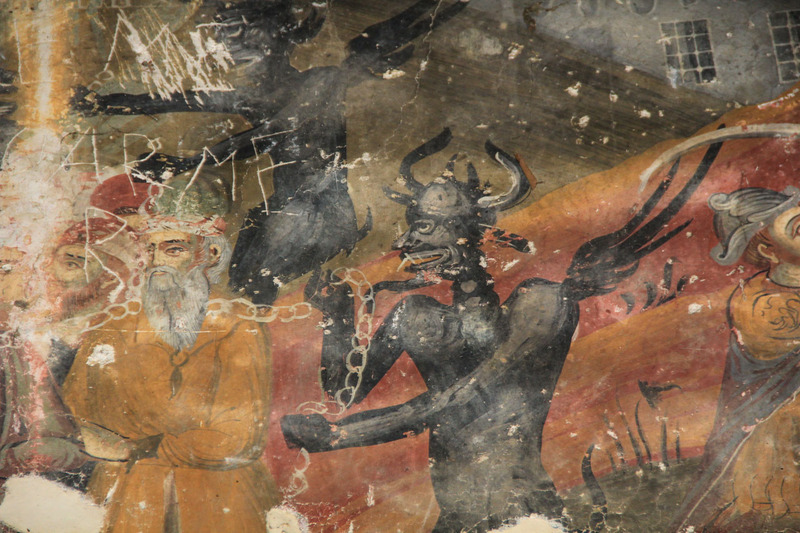 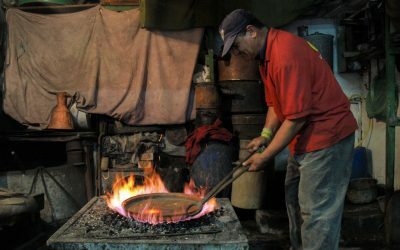 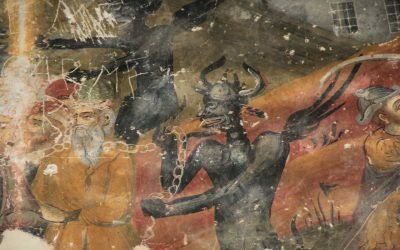 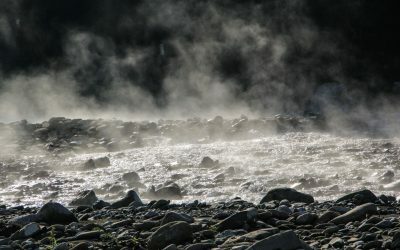 In the early evening we can reward ourselves for our effort with a plunge into the hot sulfuric springs ­­at Benje. 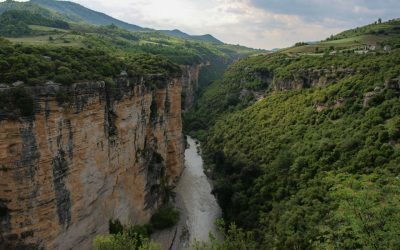 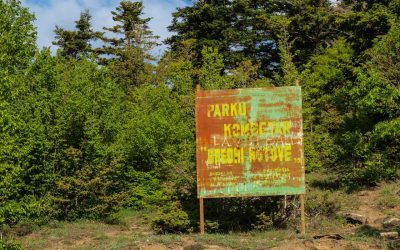 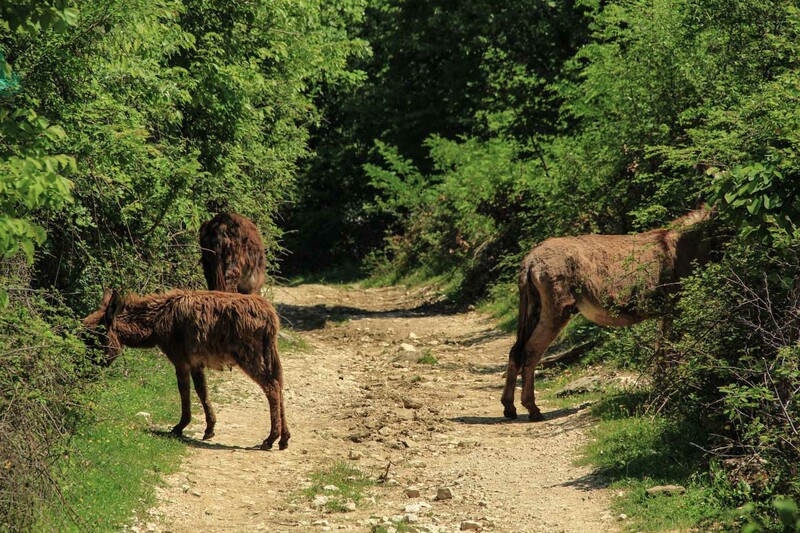 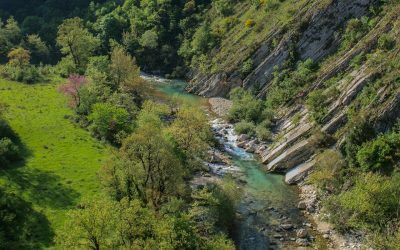 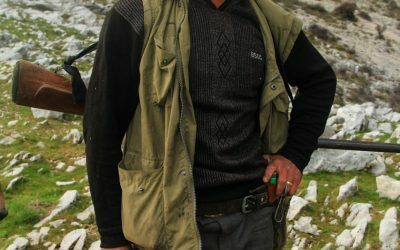 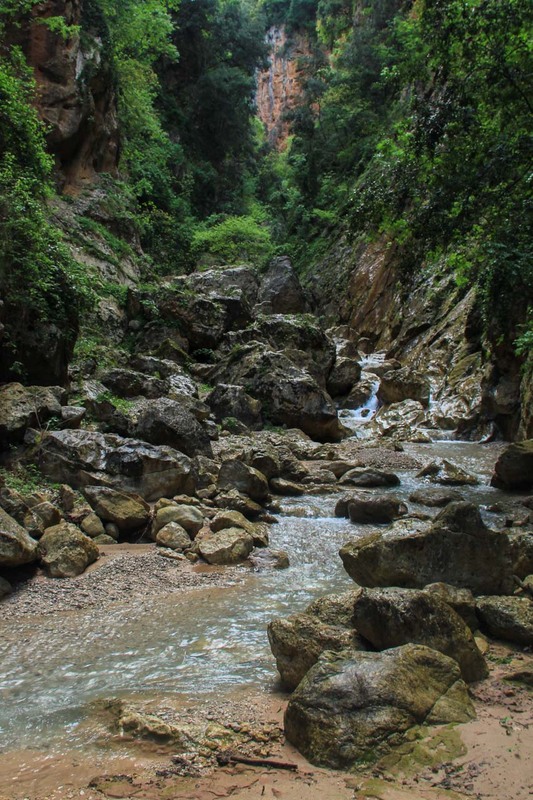 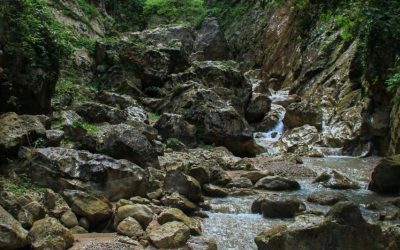 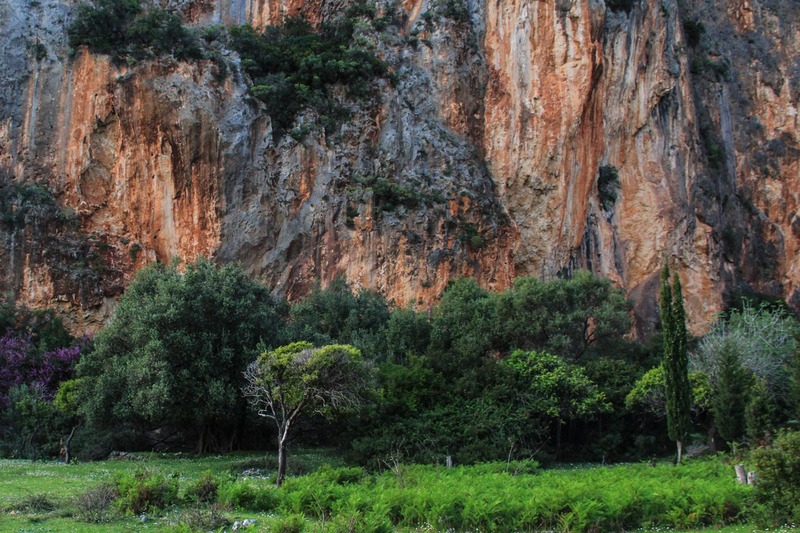 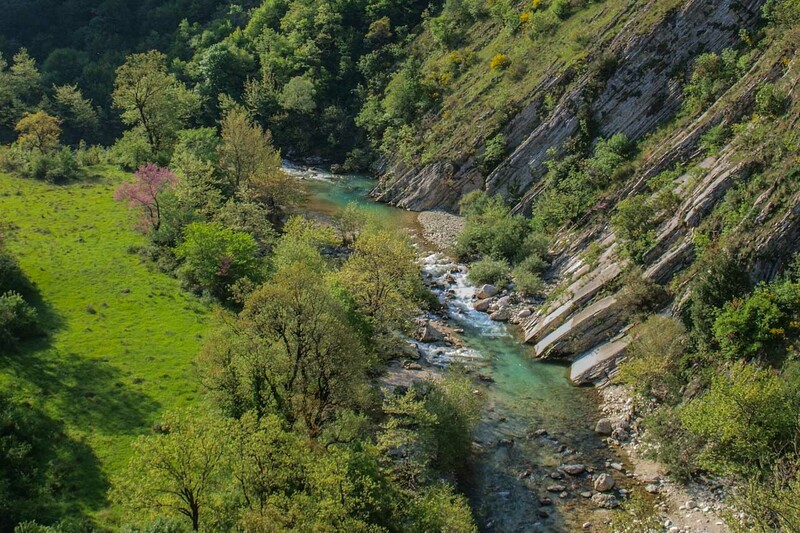 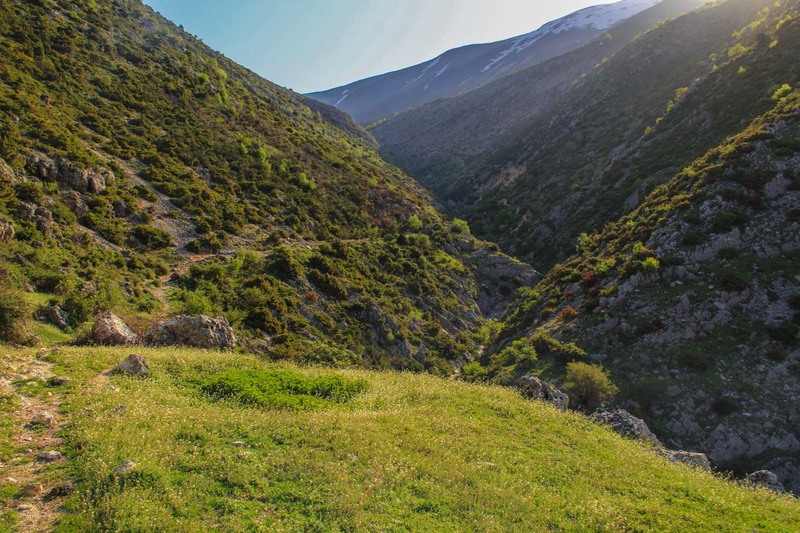 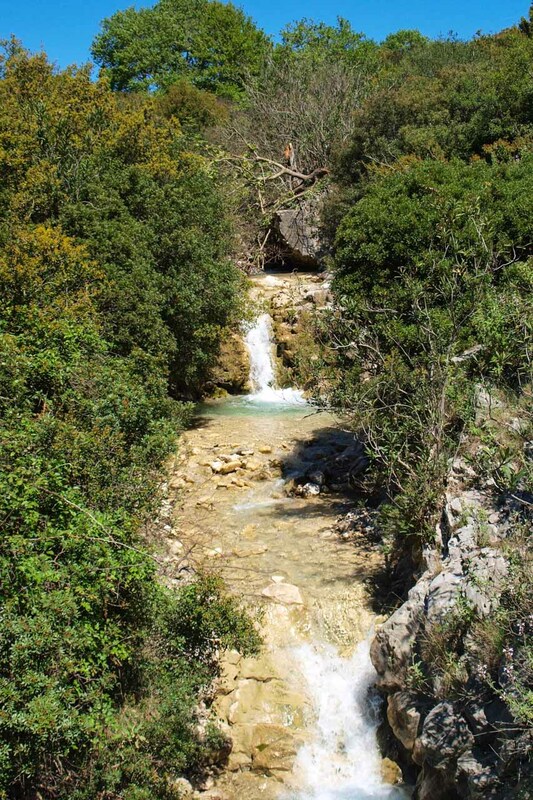 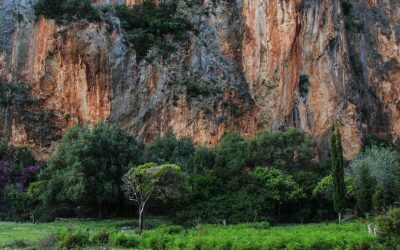 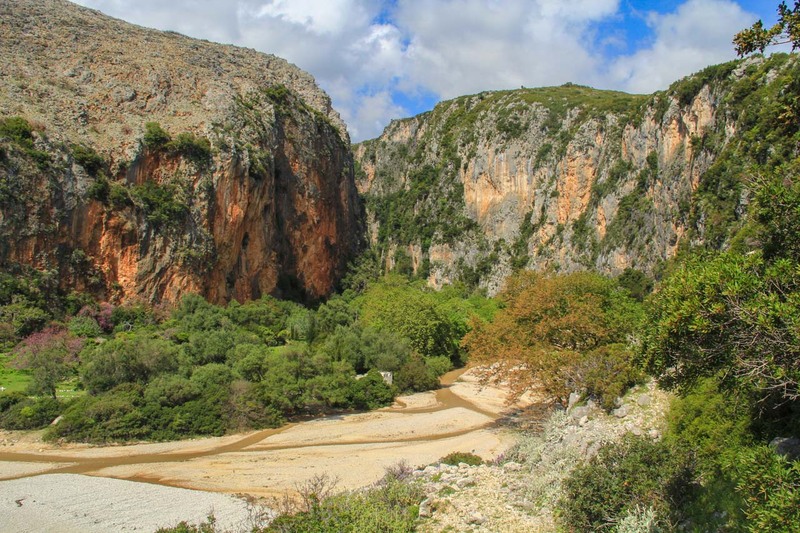 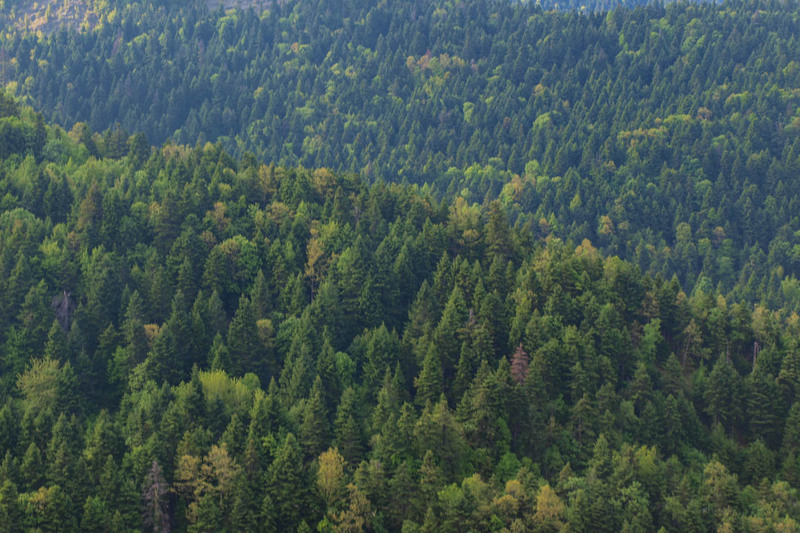 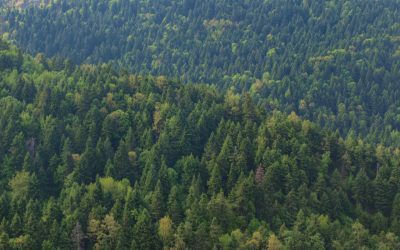 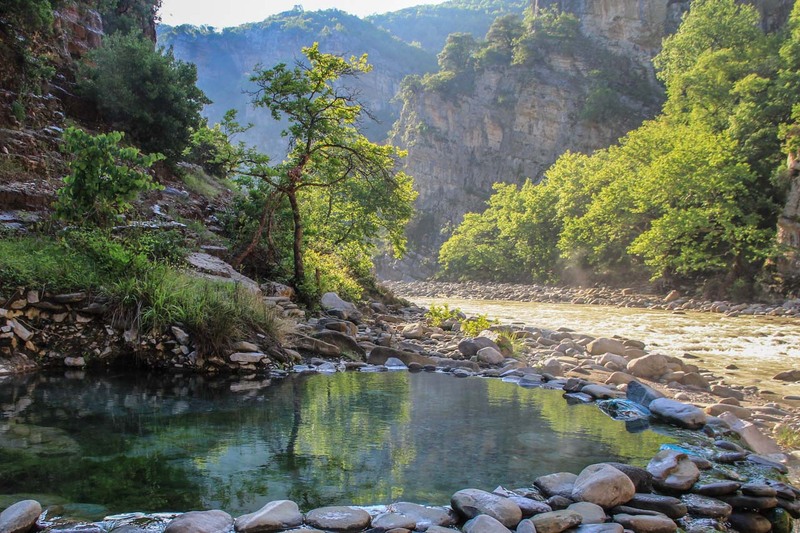 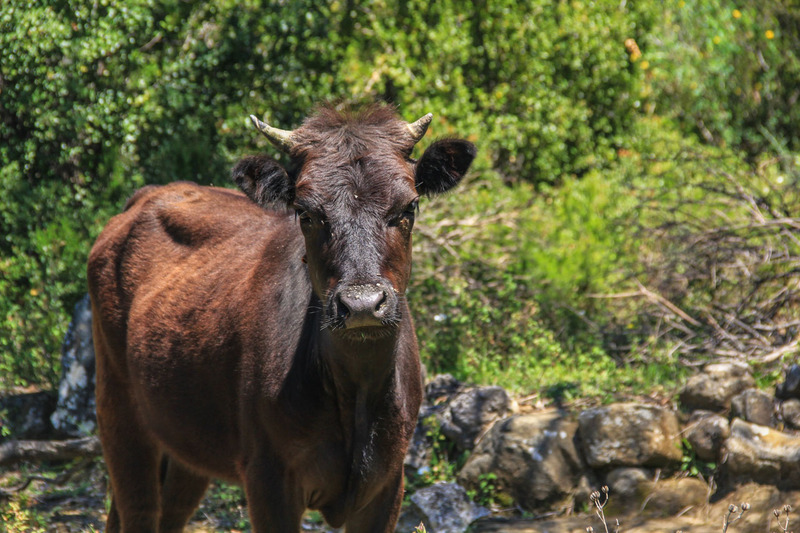 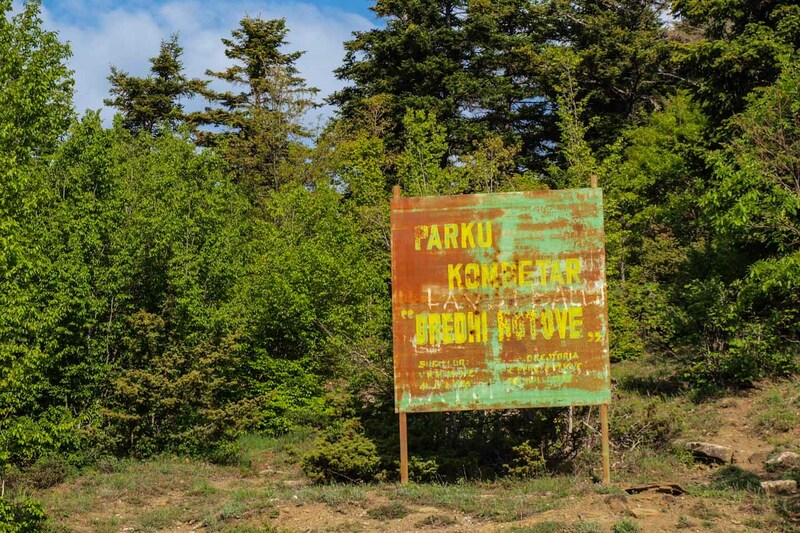 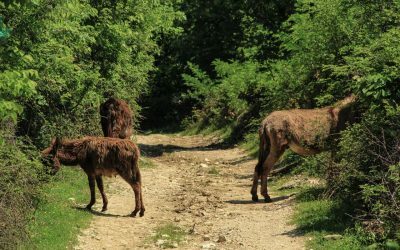 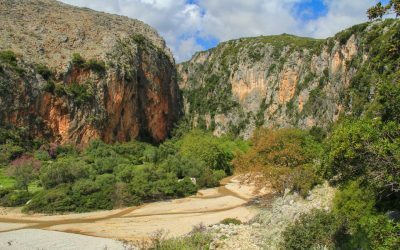 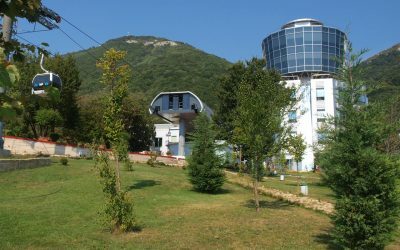 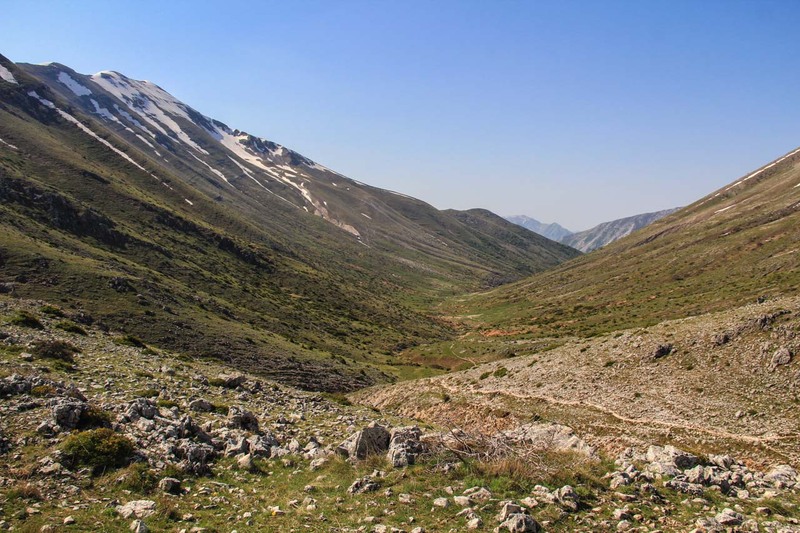 After having travelled Albania for a couple of days you might have noticed the absence of proper thick forests, but your impression will change when we pass through the Bredhi i Hotoves national park and journey over a less traveled road along the wild Osumi River Canyon towards Mount Tomorr. 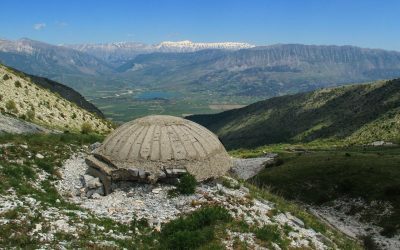 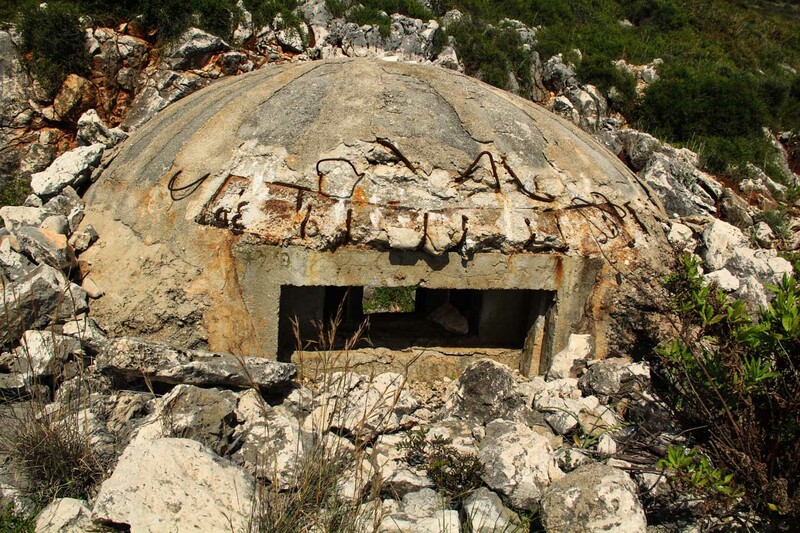 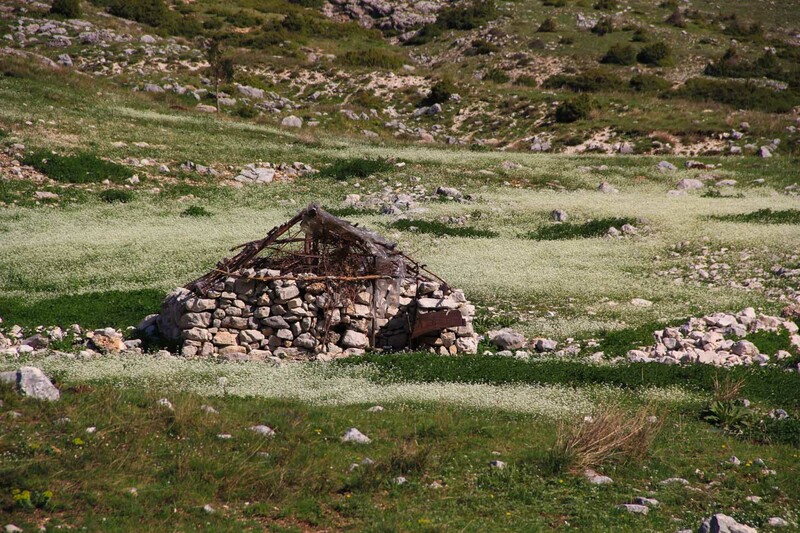 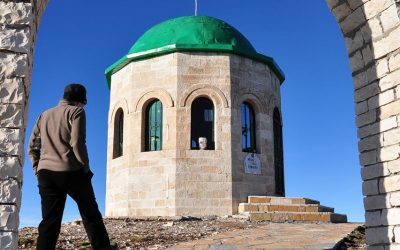 On top of one of the peaks to their surprise one finds a Bektashi shrine at nearly 2400m, from where we descend into Polican, former home of Enver Hoxha’s secret arms factories. 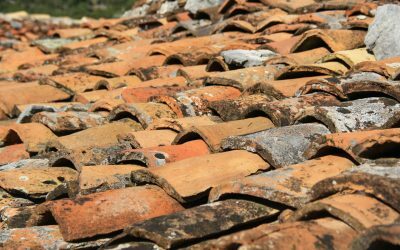 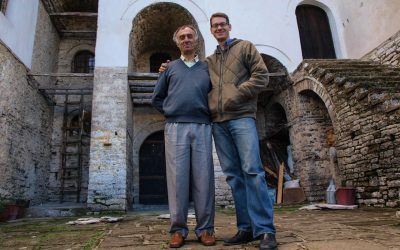 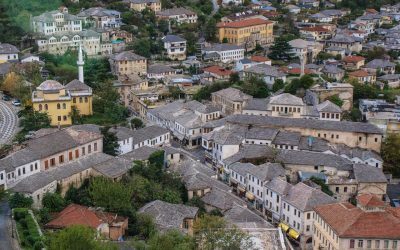 The visit to the so called “city of thousand windows”, or simply Berat, will be the last highlight of the tour before we will have to say farewell at Tirana’s Rinas Airport. The schedule of the first day is dependent on the time of your arrival. 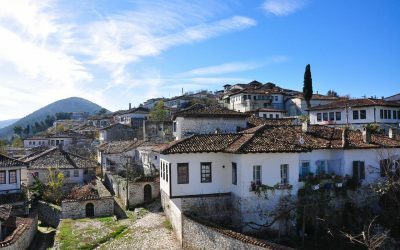 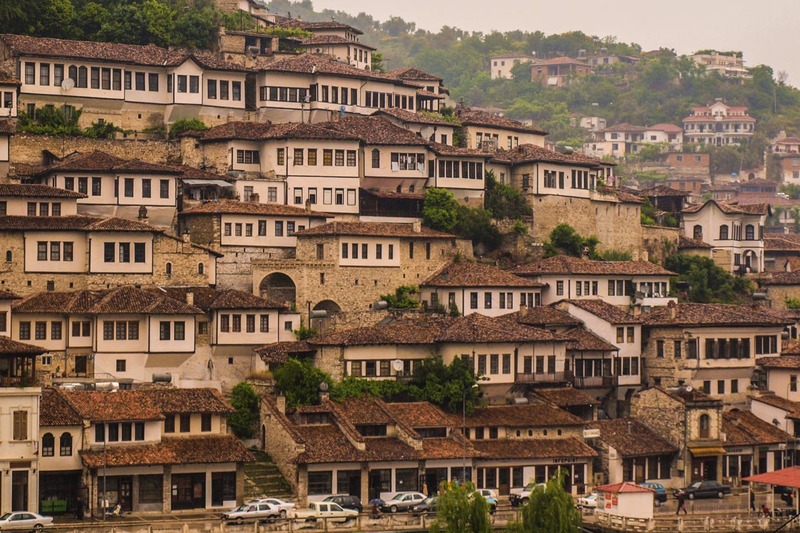 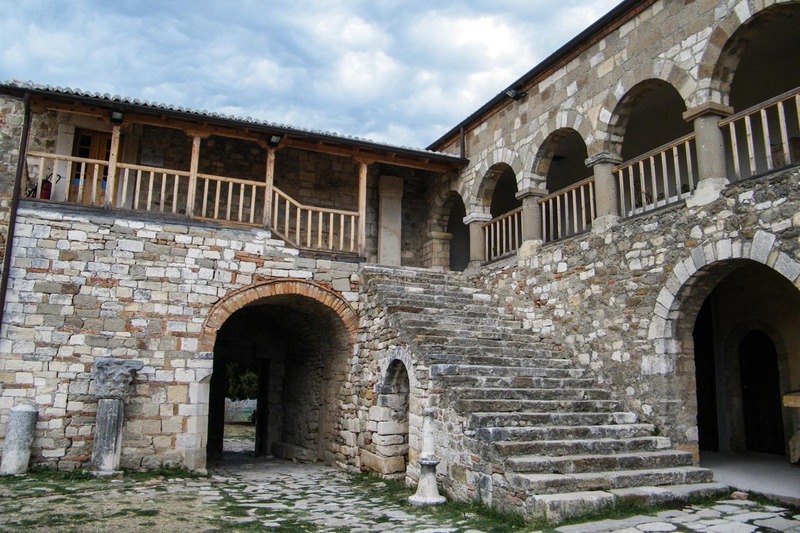 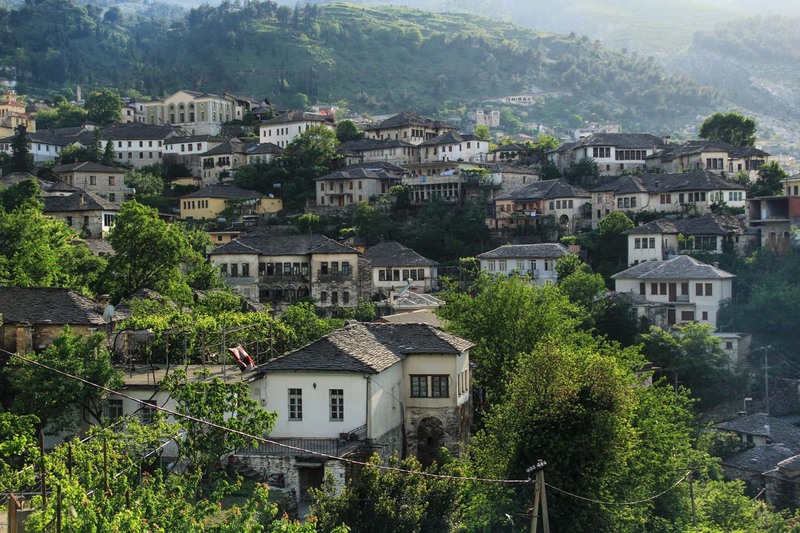 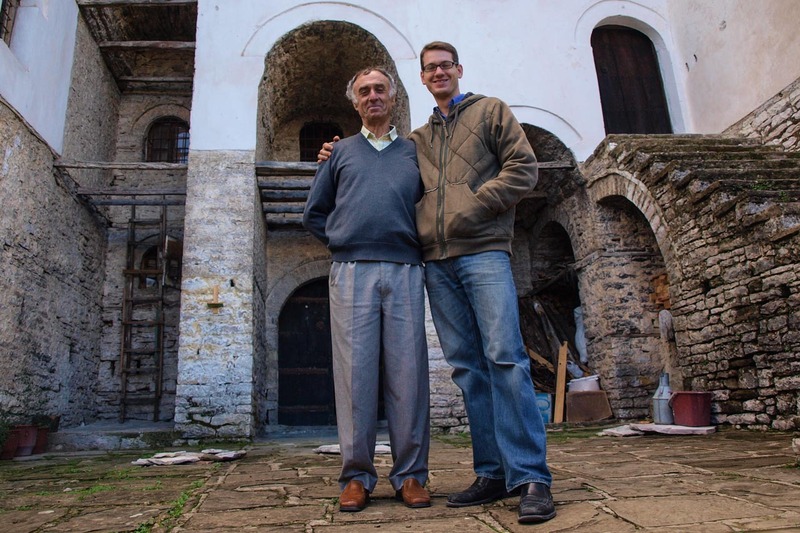 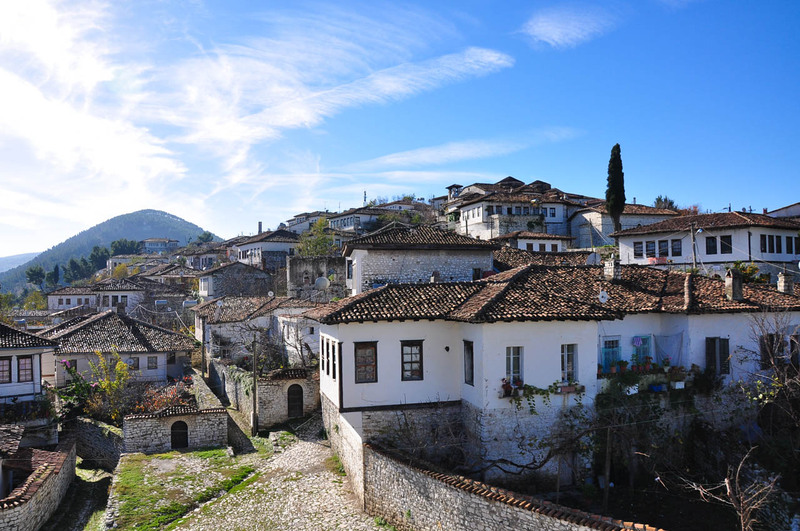 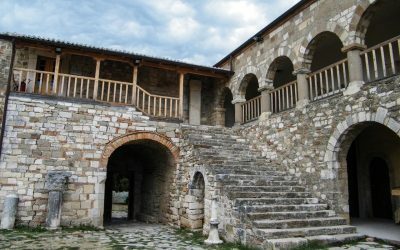 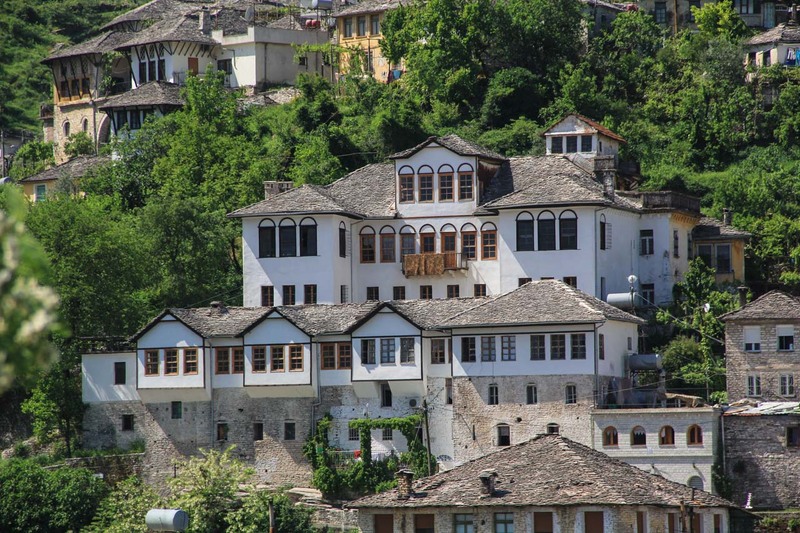 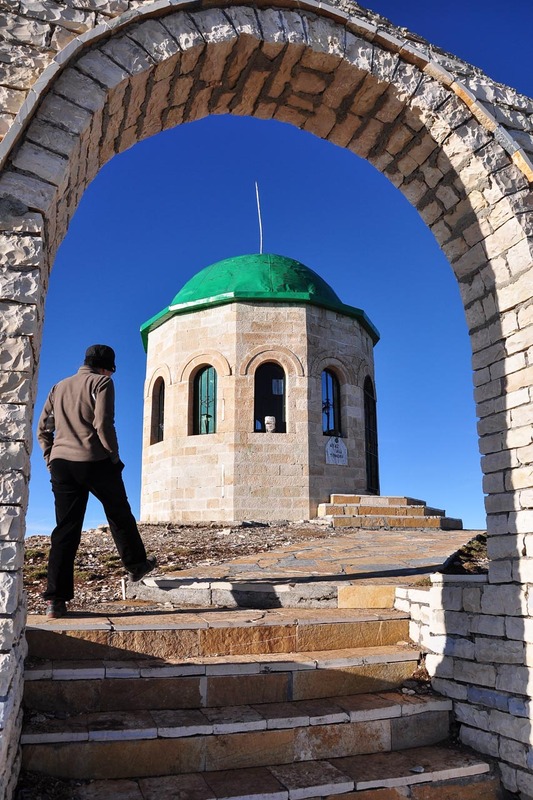 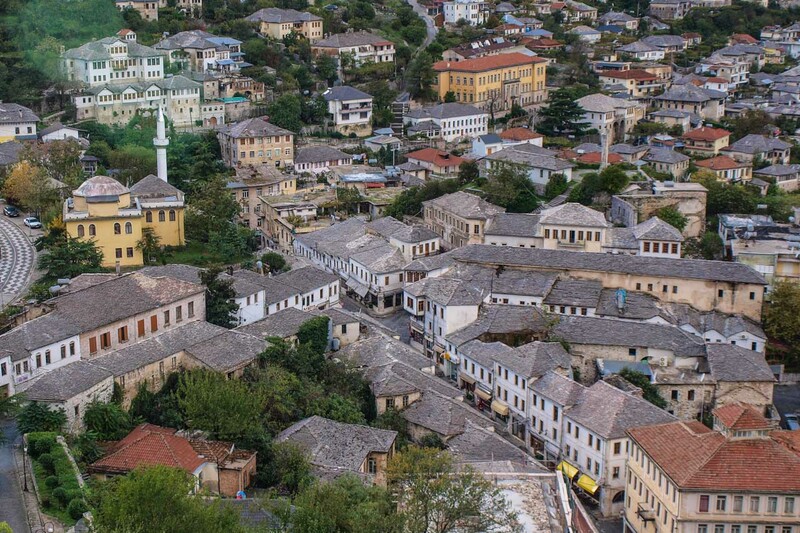 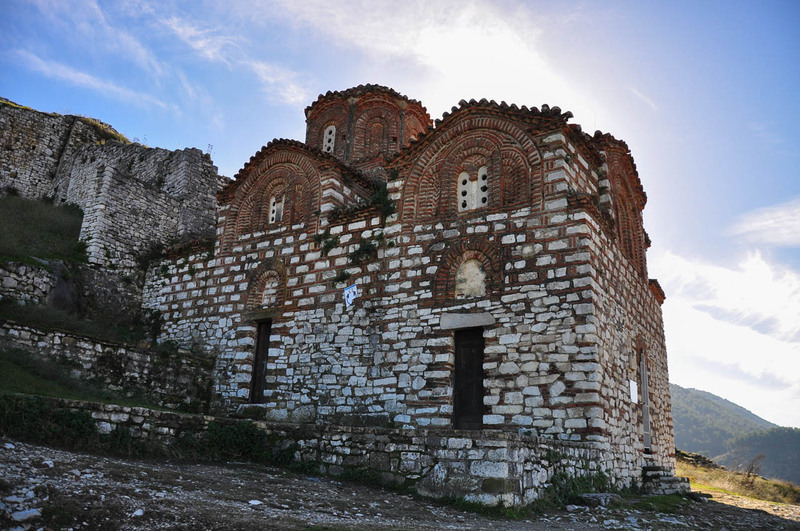 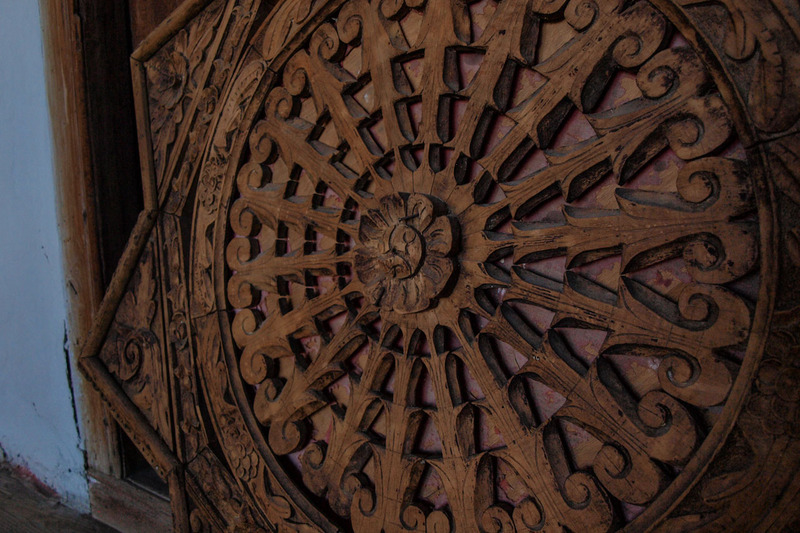 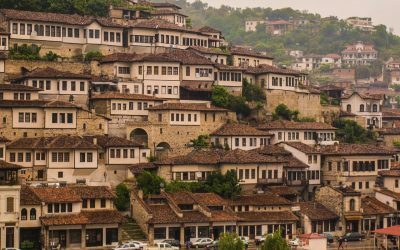 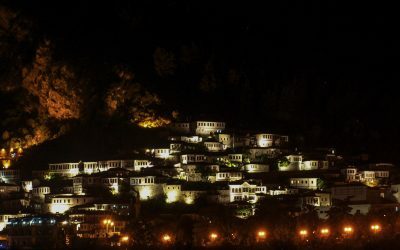 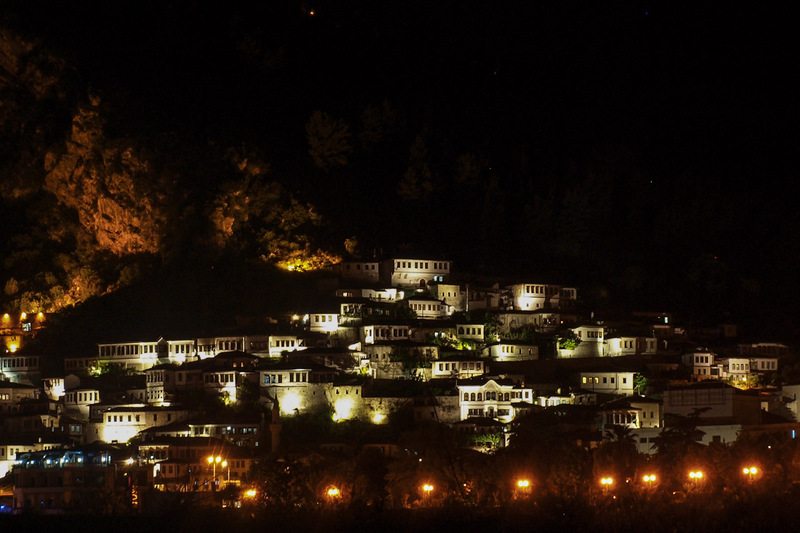 City tour of the traditional neighborhoods of Berat, the castle and mosque. 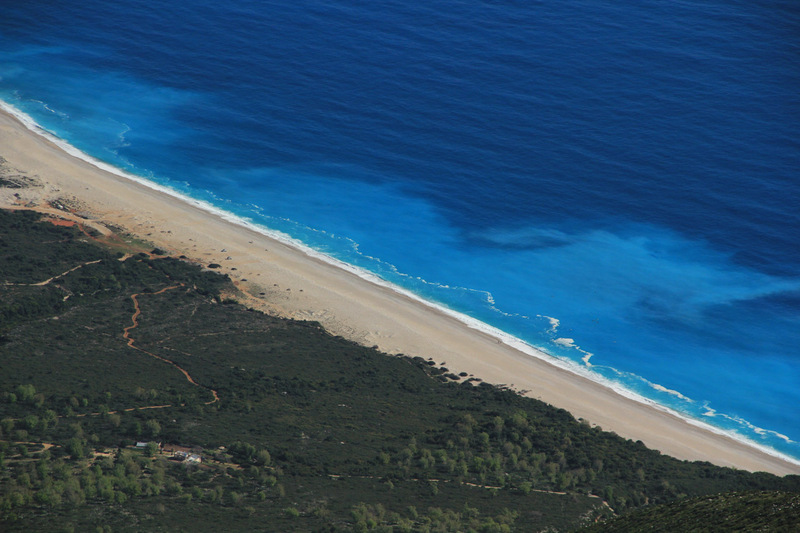 The length of this tour very much depends on the time of your departure from the airport. 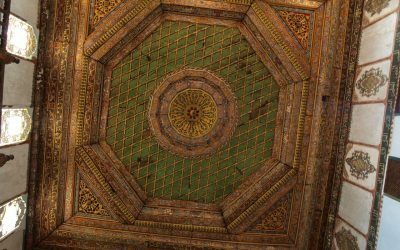 Didn’t find what you were looking for? 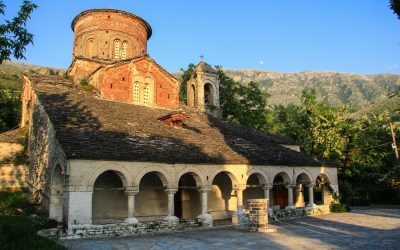 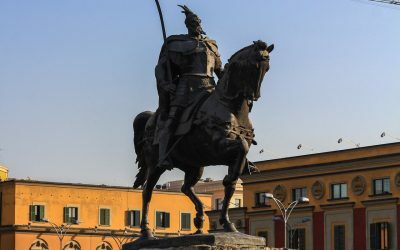 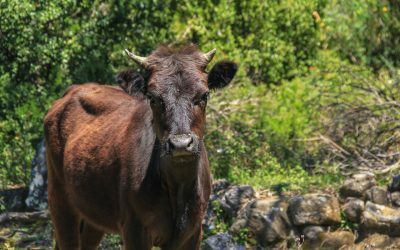 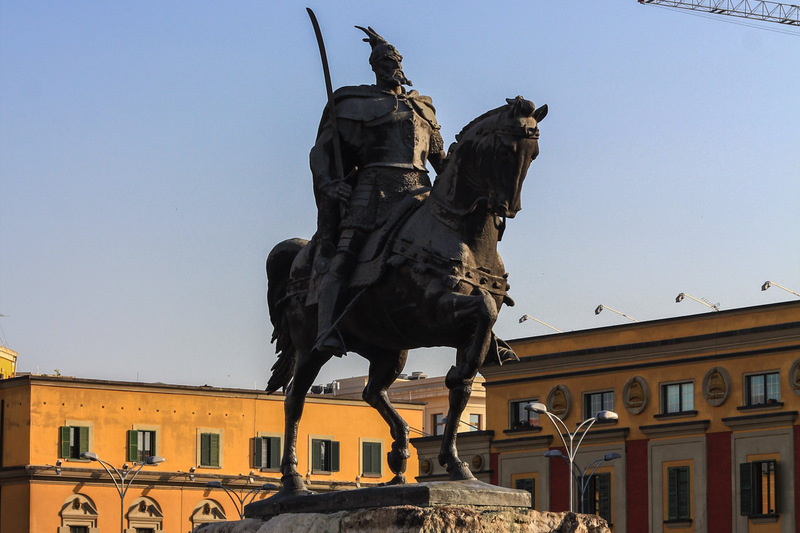 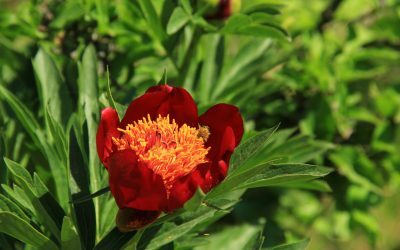 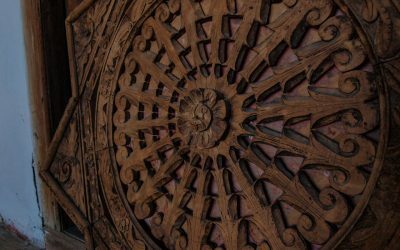 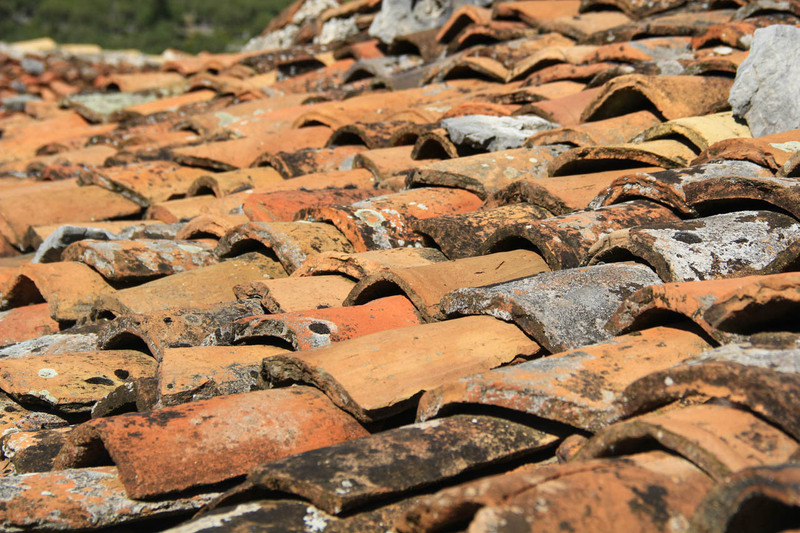 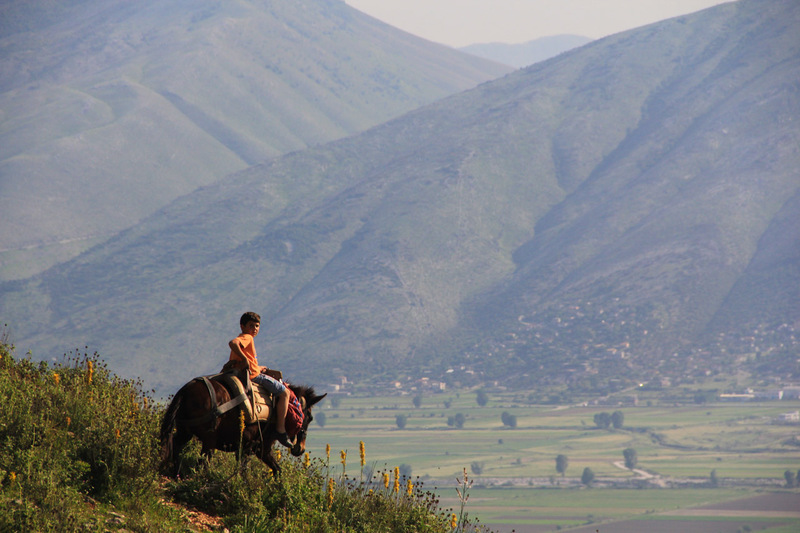 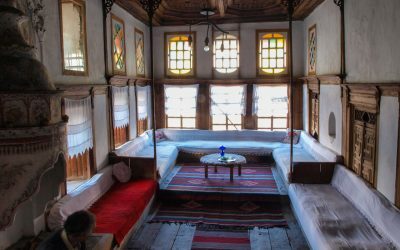 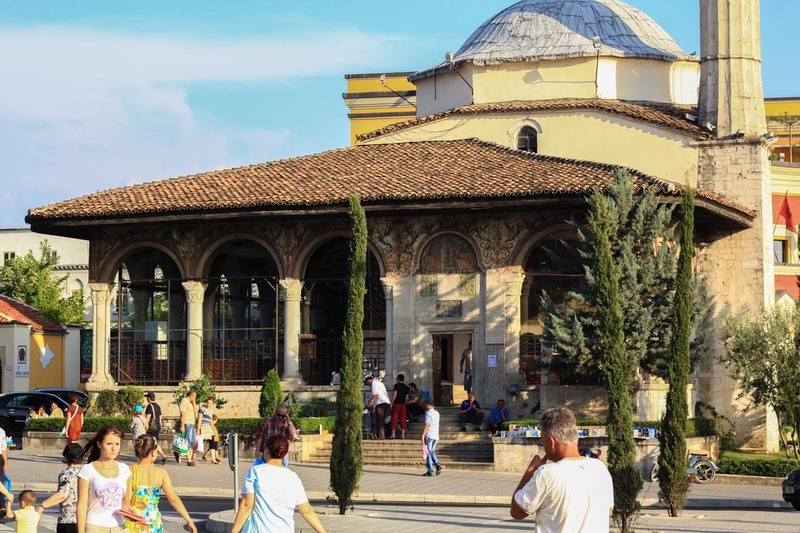 Get in touch with us and we will be happy to tailor a tour that suits your needs, organise transport or accommodation, or simply give advice for your independent visit to Albania.